Does your dog need to wear a collar? At what age do you put a collar on a puppy? Is my dog’s collar dangerous? Of course, it is not a discovery of the year. And I am not Socrates to share my deep ideas about the quest for truth and human virtue. But it has a point. And here is what I’ve concluded. Life is an unpredictable thing. You never know what waits you around the corner. Today you are thrilled to bits. And tomorrow you are licking wounds from the unexpected situations that the fate has brought you. Have you ever thought about this? And do not tell me no. I won’t believe you. These thoughts come to your mind one day or another. But let me tell you what has brought me to this conclusion. In the beginning of 2018 there was a storm in Israel. My friend Manish, who lives in Haifa, has lost his Lab during the storm. His best friend disappeared just in the matter of seconds. Manish hoped that his Buffy would be found soon. He didn’t lose hope. Frankly speaking, me too. Luckily, this story has a happy end. Buffy is now back home. There are some kind folks in the world still. A young couple found him near their house. What a fortune it was! He had an ID tag attached to his collar with Manish’s contact information. Can you imagine what could have happened to a poor baby if nobody found him? Don’t want even to think about that. The message is: a small and, at first sight, insignificant thing like an ID tag can save a life, help escape the claims of your conscience and return a dog back home. But in fact a dog collar is not only meant to carry an ID tag. And in this article you will figure it out. So, my friends, let’s sift this question to the bottom. I’m sure you know what a collar is. If you hear a word-combination “a dog collar”, you imagine a small leather or fabric band on a dog’s neck. Yes, it’s a common and quite general understanding. But have you ever wondered that there are nearly 19 different types of dogs collars? And every of them is designed to serve a specific purpose? Did you know that a collar is one of the most important tools for every dog owner? It’s even required by the law when your dog is outside. Do you use it to restrain your dog in case of his poor behavior or attacks from other dogs? I guess you’ve never reached this far and examined these questions so deeply. Frankly speaking, me too before that day when I’ve decided that I wanted to know about collars EVERYTHING. Yes, guys, your eyes do not fail you. I really wanted to root it out and find answers to all questions that sprang to my mind. And here is the result. You have this article that contains everything you may want to know about dog collars. I hope you’ll say “thank you” one day. So please, add +1 to my karma level. How to choose the right collar for your dog? 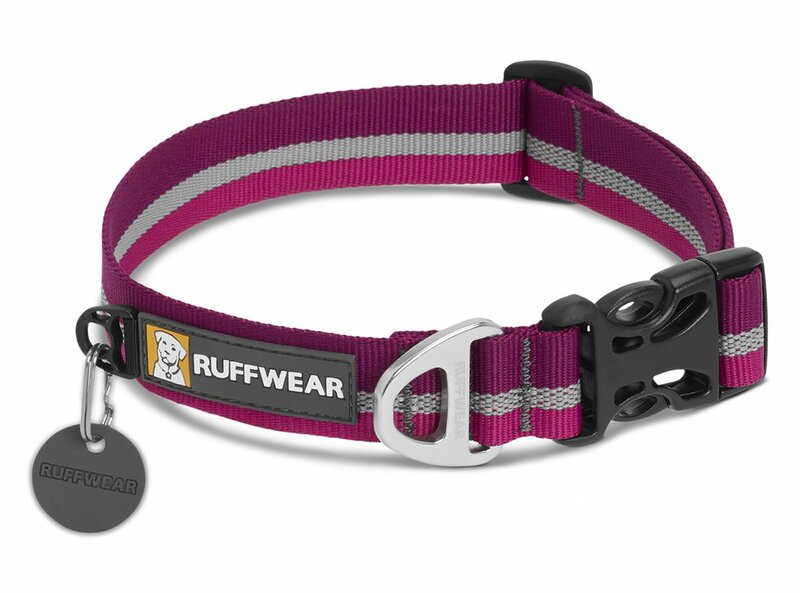 What is the best collar to gain control over your canine on the walk? What is the best collar for training, walking, dog show or swimming? How to choose the best options for your dog depending on his or her size, temperament, breed and level of training? Is it safe for a dog to wear a collar? Do you have more and more to ask? Please, don’t worry. I’ll give answers to all your questions. So, guys, this article is worth your time (and costs you nothing)! Are you interested in history? I guess most of you will say that it’s quite boring. But let me disagree with you. I believe that history gives you answers to many questions. Acquaintance with the past can be interesting and suspenseful. So, let’s learn what is known about dog collars from distant times. 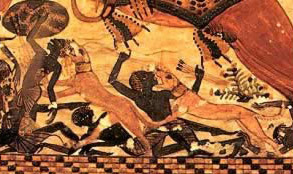 Did you know that Kings and Pharaohs were the first to initiate the use of dog collars? Well, now you know. “The earliest types of dog collars were made using a piece of material, primarily leather, metal or fabric. Placed around the dog’s neck for control, identification and taxation. It is believed that early collars displayed Royal markings or family crests to express ownership and importance, while commoners found other ways to mark their dog’s collars to prove ownership. Unlike highborn dogs, hunting dogs wore only simple collars made of leather as a means of identification. In the sport of wolf hunting, dogs wore spiked collars with sharp outward-facing prongs. They were meant to protect the dog’s neck during wolf attacks. Time flies and collars change. Who knows how an ordinary collar will look like in 100 years. Perhaps it will be something totally different. It might be a laser beam that will adjust to the fur color or will be totally invisible. Have no a clue. Our children and grandchildren will figure it out. Today collars are great in their number and variety. They can be anything from utilitarian to designer, made from any number of materials and and have cheap or expensive decoration – as the owner wishes. It is not a stretch to say that a dog collar isn’t only a ritzy accessory. It is a necessary thing for every pet owner. Did you know that dogs MUST wear collars and ID tags in public places? Yes, guys, it is a legal requirement. I guess it works in a great number of countries all over the world. If you are a first-time dog owner, please check restrictions in your city or state legislation. Believe it or not, but even if your dog is harnessed, quite often it’s necessary to wear a collar with an ID tag with the dog’s name, owner’s name, cell number and address. Some believe that micro chipping is a great alternative to a collar with an ID tag. I have to disagree with them. And the reason for this is quite obvious. When your dog is wearing a permanent and visible form of ID, it is his fastest ticket home. As we all know, our best friends cannot talk (at least they are not using human language for this). An ID tag is their easiest form of communication if they are found away from home. After all, there are non-pet people out there that don’t know that they should take your dog somewhere and have him/her scanned. So, your dog’s first line of defense is an ID tag. But you can both get your dog micro chipped and attach an ID tag to a collar. That is not a big deal. Many dog-fanciers accept the requirement to wear a collar with an ID tag and follow it. Other believe that collars aren’t necessary, especially around the house. Who is right? I think that this issue has two sides of the coin. Let’s see what each of them has. So, where does the truth lie? Let’s read what dog owners think about dog collars around the house. You may agree or disagree with these dog parents, but face it. Everyone is right on his own way. What they say only shows that it is hard to make a decision on whether your dog needs to wear a collar when being inside. But what about outdoor adventures? Here are pros and cons of putting a collar on your dog. So, is a dog collar dog’s salvation or doom? there is no other choice but to wear a collar with an ID tag on your dog. If you are in two minds, there is always an alternative choice – a harness. By the way, you can read my guide – How to Save Your Money and Time When Choosing a Dog Harness. Read! Full Harness Guide. You will find the answer to the eternal question there: collar or harness? and much more. A small funny puppy appears in your house. It can be fun, exciting, and as you quickly discover, really overwhelming. But, sooner or later, you will be like: “Well, what’s now? What do I actually DO with this creature? Should I… play with him? Train to do something?”. When you have lots of toys, treats, you’ve arranged your schedule for potty breaks, meals, training, bedtime and wake-up time, it is time to introduce a new thing that will change life of both of you for the good. And this thing is a dog collar. But when should you start? Frankly speaking, what I’ve found out confused me a little bit. Some trainers claim that an owner should introduce a collar to his puppy when he is 16 weeks old. Others say that the best period for this is about 8 – 12 weeks. Who is right? Hard to say. But let me give you one useful piece of advice (actually, it is Kristina Werden who suggest your doing this). 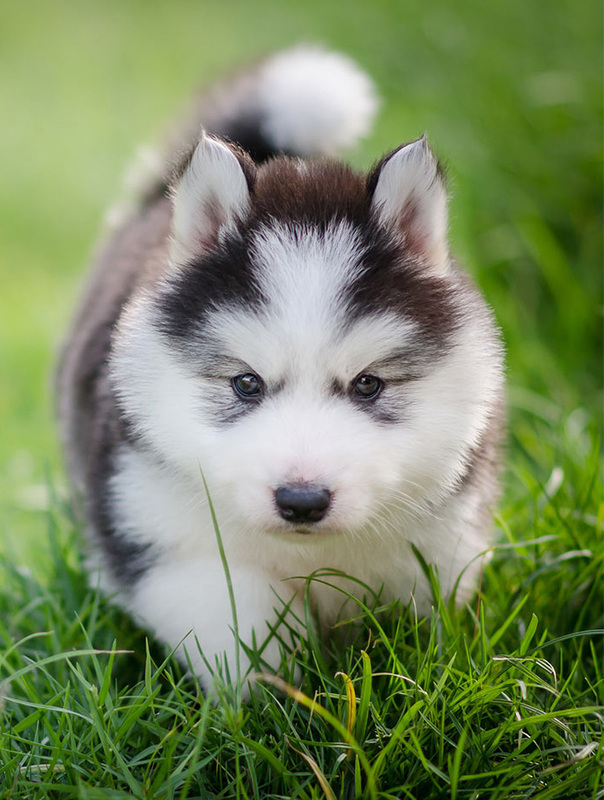 When picking up your puppy – either from a reputable breeder or a local animal shelter – note whether or not other dogs in the area are wearing collars. Often, responsible breeders will acclimate puppies to lightweight ribbon collars from birth. Puppies at shelters are not often required to wear them. Knowing your pup’s past experience will be valuable as you begin collar training at home. Keep an eye on your puppy and you will see when is the right time to introduce your pup to a collar. But one thing is clear: the sooner the better. P.S. Don’t forget to change a collar as your pup grows and changes his size. Large breeds, whose pups grow very quickly, will need drastic adjustment in the first few months. So, it is a perfect time to introduce your pup to a new thing in his life – a collar. Or perhaps you are tired of being a complete failure when it comes to getting a new collar for your Buddy. Either ways (or whatever the situation is), are you ready to unveil the truth and choose the perfect dog collar? Before you ever go to the pet store or visit dozens of websites in search of that one collar, read this. It will save your time and keep your wallet from getting slimmer. You visit a dog supply site. Open the category “Collars”. And what do you see? Hundreds or even thousands of collars of different types and designs. Hm, what am I supposed to do with such an abundance? Or you enter a pet shop, head to the section with dog collars… and… stand still confused with the number of choices you have. Which one will be the best for my dog? Indeed. Which collar will be a sound solution? High time to get to know. 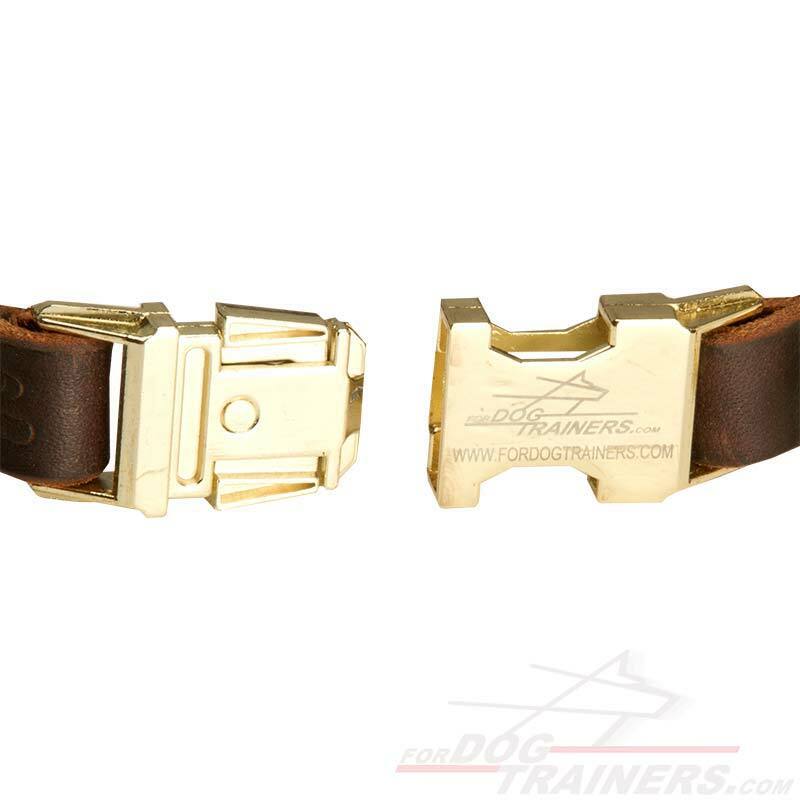 We will start from the very beginning and examine all types of collars that are available on the market today. Are you ready for a blast of information? Please put on your hat of patience. We have a lot to talk about! There are more different types and models of dog collars than you could even imagine. Believe it or not, but I’ve found 19 types. And I guess it is not the final number. The dilemma of the collar’s choice may make you feel dizzy. And that is absolutely ok. I had the same feeling when I decided to buy a first collar for my new four-legged friend. But please, don’t worry. Together we will conquer the mountain! I promise you! So let’s do it! Wow, such a good variety! But this diversity may play a dirty trick with you. Especially if you are not aware of which type will meet your needs. How to avoid unpleasant feelings and make an educated choice? Let’s see it! Yes, Captain Hindsight, these are collars that your dog may wear every day. Seems like not a big surprise, right? 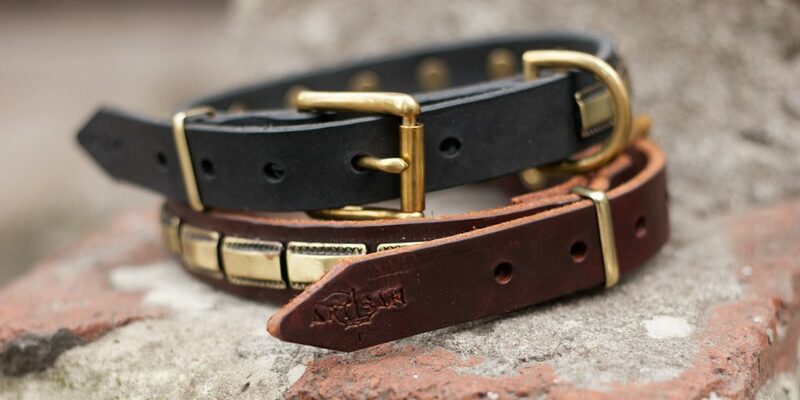 An everyday dog collar can range from simple and durable to posh and decorative, depending on your dog’s lifestyle. Regular collars can be leather, synthetic, or fabric, but most importantly they must be comfortable and somewhat durable. But the key here is to get something your dog will actually want to wear every day. If your canine is a frequent swimmer, a working dog or gets usually in training, you will probably need separate collars for your dog’s outdoor and training activities. Please remember that any dog shouldn’t wear a training collar as his everyday collar. I bet you already have it on the shelf… Unless you are not a newcomer to a happy world of “kibble eaters” fans. This is a standard collar for dogs. It is just a strap of leather, nylon, plastic or whatever with a buckle and D-ring. That is all. A flat collar should fit comfortably tight on your dog’s neck. If it is too tight, it might choke your dog. If it is too lose, your pet might turn into a legendary Harry Houdini and perform a sensational escape act. By the way, it may also happen with sighthounds, like the Greyhound and the Whippet, whose necks are often larger than their heads. So, where is the golden middle? The rule of thumb is an answer. It says you should be able to get two fingers underneath the collar. 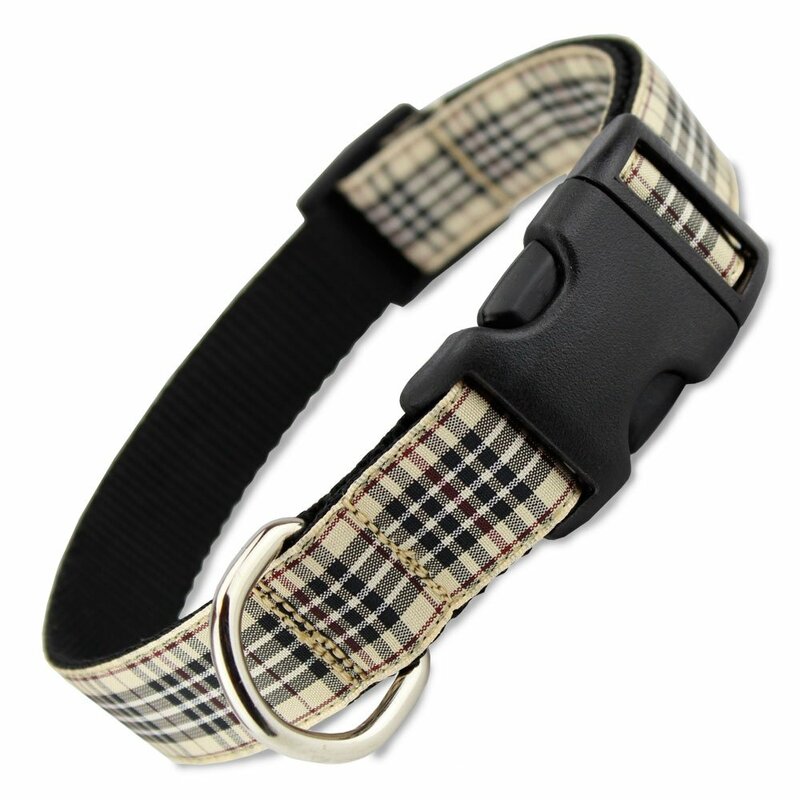 London Furberry Plaid Dog Collar is a bright example of a flat dog collar. It is crafted with an authentic contemporary Scottish Plaid. 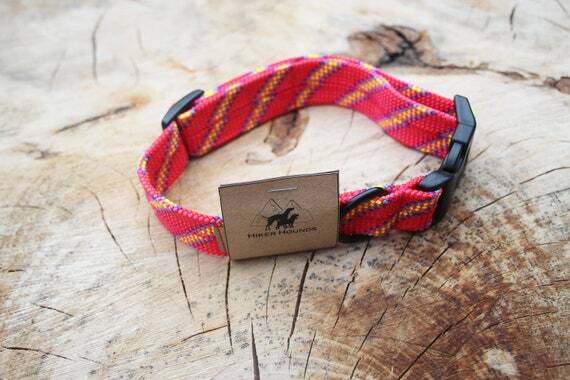 Handcrafted by The Artful Canine, this collar is lightweight yet durable, machine washable, and backed by 1-year guarantee. Machine wash delicate cycle, flat dry. Do you remember I wrote that the dog with a narrow head may escape the collar? So here is the solution. The martingale collar was designed for sighthounds (such as the Greyhound, Afghan hound, Saluki, and Whippet). Why is it so effective with these breeds? The thing is that it comprises a larger and smaller loop. 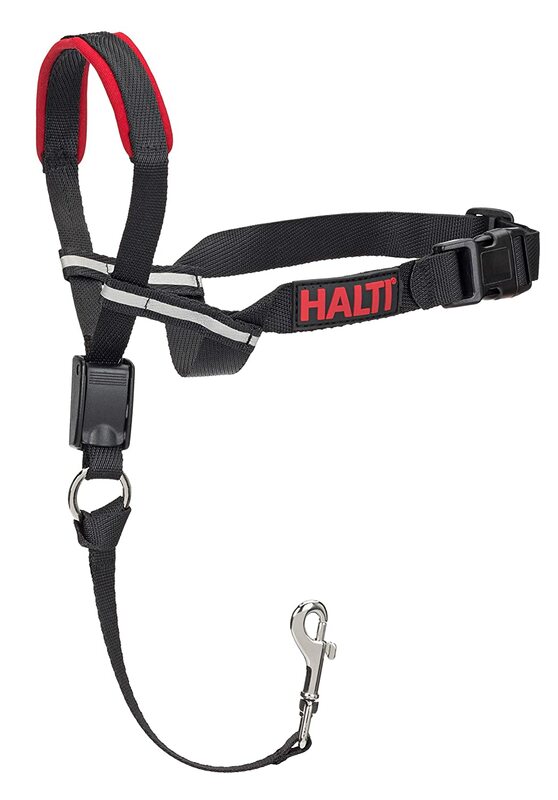 The dog’s head fits into the larger loop and the leash is attached to the smaller loop. When the dog pulls, the larger loop tightens enough to prevent the dog from slipping out of the collar, but not so much that it would choke the dog. 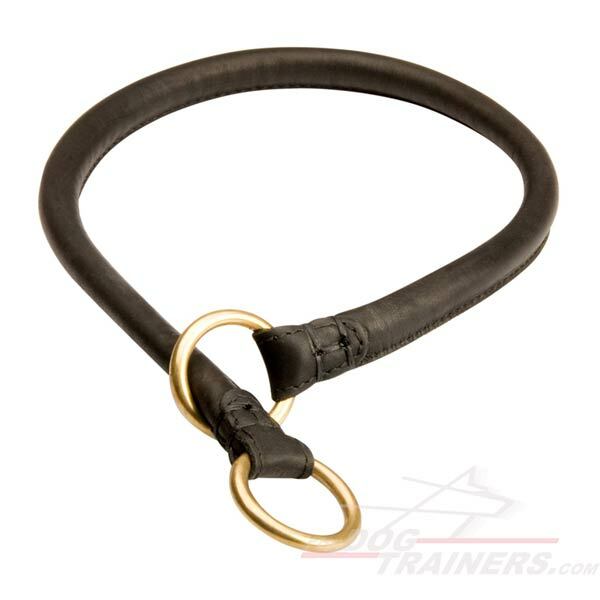 Many trainers recommend this collar as a safer alternative to a standard collar or a choke-chain collar. But at the same time, do not leave it on your pet when being not supervised. It’s useful for a dog of any breed who is adept at slipping out of their collar. 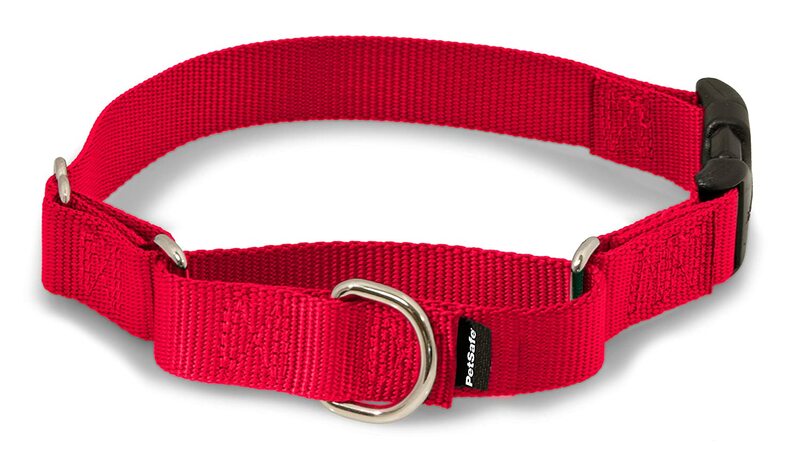 Fordogtrainers Martingale Dog Collar is a bright example of the collar type we are talking about. It will perfectly fit both for a puppy and grown-up dog. It is tightened to the exact size of the dog’s neck when the collar is pulled. When it is not in use, the collar will be comfortably loose. Tired that your dog jumps like a monkey? Do you have a strong, energetic dog who pulls? Have no clue what will put an end to such a behavior? Then a head collar is really a good solution. Because the halter is around your dog’s muzzle, instead of his neck, your dog loses a great deal of leverage. And it means that he will be unable to pull on the leash with the full weight of his body. But please pay attention that to be effective, the head collar must be properly fitted. One strap of the collar fits around your dog’s neck and sits high on the head, just behind the ears. The other strap of the collar forms a loop around your dog’s muzzle. The leash attaches to ring at bottom of muzzle loop. And to be safe, make sure not to yank your dog’s leash while he is wearing a head halter. If you are going to buy it, it’s good to ask a dog trainer or a knowledgeable sales manager for assistance with fitting. Proper fit and use should minimize the risk of injury to your dog. Many of them provide a comfortable fit, allows a customized fitting for every dog. 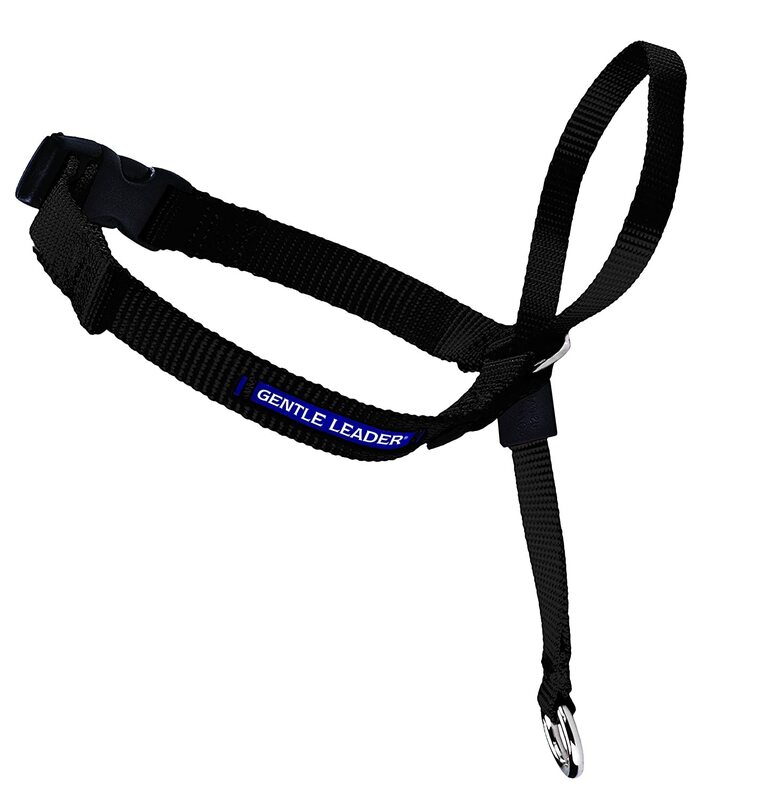 PetSafe Gentle Leader Head Collar is quite a good head collar for stress-free walking with your four-legged friend that provides immediate, gentle control. The model is designed so that the owner can communicate with his pet in a way he instinctively understands. It painlessly and effectively removes the dog’s natural tendency to pull by placing gentle pressure on calming points and eliminating uncomfortable pressure on the throat. Packing includes fitting instructions, training guide and comprehensive DVD. Owners of canines with a long, thick coat may sigh with relief. There is a collar that will prevent tangled and matted fur around the dog’s neck. And this is a rolled collar. By the way, it is also suitable for dogs that have sensitive skin, or wrinkles and rolls. According to their structure, rolled leather collars are much thinner, narrower, and much lighter than the flat collar. The rounded shape makes a cord or rope-like structure that helps give it strength. However, guys from www.genuinecollars.com claim that there are still some disadvantages. It can cause pressure on your dog’s neck and cause damage to his windpipe if your dog is a puller. But these are nothing more but common cons of any dog collar. Small in diameter which can be painful to a dog in some circumstances. Follow the link to check this Silent Training Choke Rolled Leather Dog Collar from Fordogtrainers. 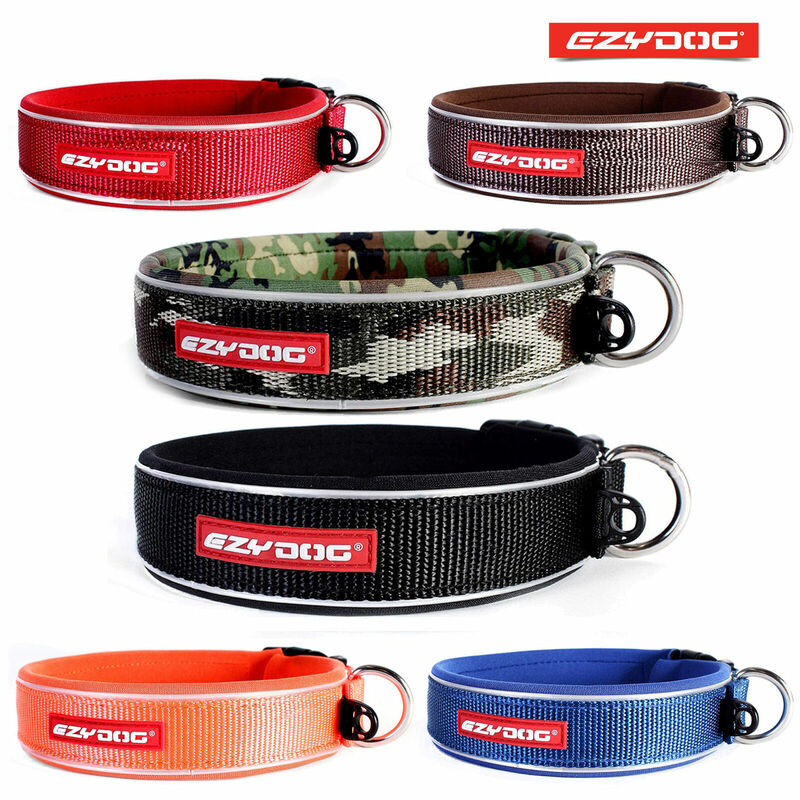 It is a bright example of a rolled dog collar that doesn’t damage your dog’s fur. These collars… They have their little bits of biscuit. I guess you can spot them in every shop without any trouble. Most of them have attractive decorations and extraordinary look. Producers do their best to invite attention of pet parents to these collars, and so that – to draw smart looks to the dogs. And I suppose, they manage to do it. Do dog shows take a significant part in your life? Is your competitiveness so high that you want your dog to get the best awards? Does your dog still lack a collar for a dog show performance? So these collars are designed specially for you! These are collars of a specific type that are usually made out of a braided material such as leather, nylon or metal. They are intended for dog shows and not recommended to be used on a daily basis, namely for everyday walks or training activities. Martingale leads are leads and collars secured into one device, and the mechanism is similar with the martingale collars. Martingale leads to be used for toy breeds for show and exhibition. Isn’t intended for everyday usage. So, consider this “Correct Posture” Stainless Steel Dog Show Collar if you need a dog show collar for your pooch. It is designed specially for dog shows. It is equipped with a small plastic caps that help the dog to keep his head in the right position. Do you want to keep your pet strutting in style? If you are real fashion freak and keep an eye on last trends, today you can find everything as both for your dog and you. The dog designers have got it. There is no limit to human fantasy and the market of dog collars is teaming with various designs and styles. You can find many one-of-a-kind collars and get them all if you have the budget and the desire. Did you know that extremely detailed and delicate collars may not be suitable for everyday wear? Yes, it’s true. Some may injure your dog, other canines or even you. So, guys, all that glitters is not gold. Please keep in mind: as much as you love to shop for your pup, he may not have your taste for fine collars. Always consider his comfort zone and his “style”. My friend got a collar from FDT Artisan. 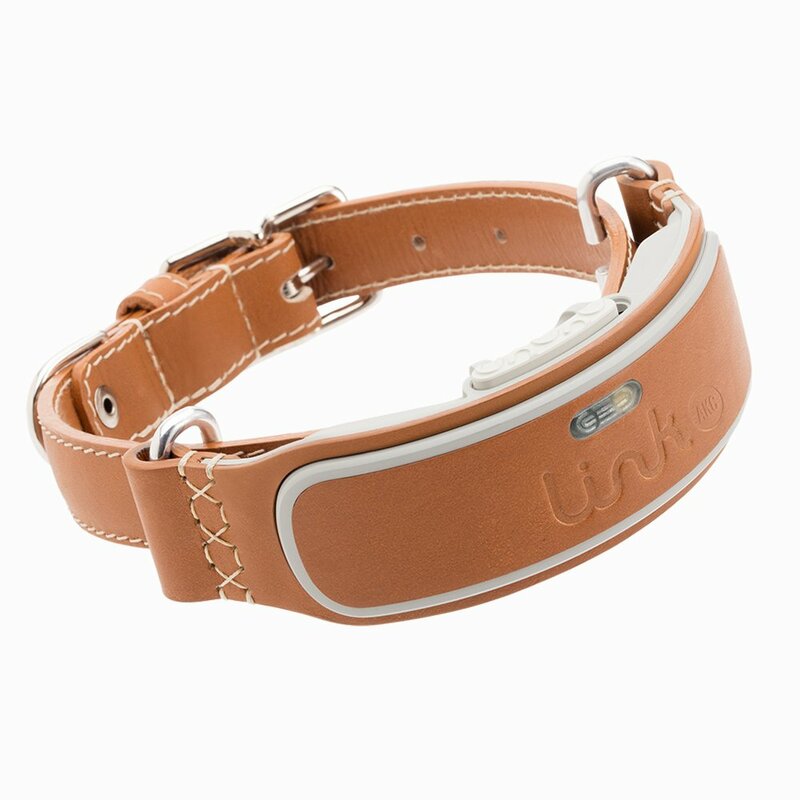 It’s really a well-made leather collar for everyday walks, comfortable and safe use. One thing that stroke me the most is that it is totally handmade. Can you believe that? It means that the manufacturer will make a collar specially for your dog. And the packaging is just fantastic! I may be wrong, but currently they have more than 391 collars of different designs that vary in color and decorations. And their collection only gets bigger every day. Every collar is made of full grain genuine leather that prolongs the time of its active use. Even after 2 or 3 years of use, it will look like a new one. Each collar is finished with tough hardware that will stand even the heaviest pulling force. Have you noticed how the Internet has changed your life? Personally I have. Indeed, with its help it seems that you can do anything. Want to go to the cinema? – Ok, Google, what do they show today? Want to order pizza? – Ok, Google, which meal delivery service to choose? Want a DIY (Do It Yourself) collar for your dog? – Ok, Google, inspire me. You see? The Internet is everywhere. It even got to DIY collars! Now you can do them by yourself. Minimum effort, maximum result. Just follow the instructions of experienced craftsmen, and you have a collar for your pooch that no one else has. By the way, you can also order all necessary stuff via the Net. Hmm… That’s pretty comfortable. Don’t you think so? The main advantage of a DIY collar is that you can get creative and customize the collar to your own taste. You can even not follow instructions from the guide and show the world you are creative. But don’t forget that safety should always be your first concern when making a homemade project for your dog. One of the worrying things about these types of collars is that they can contain inferior materials, including old leather belts (which are more porous than new leather), yarn, ribbons, nylon cord, T-shirt material, and more. While these collars may be cute, they are of dubious strength and safety. Here is one of the instructions that has 10 Easy DIY Dog Collars To Jazz Up Your Pup’s Summer Wardrobe. Is there learning through pain? Aversive collars are the answer to this question. Trainers use them to train “difficult” dogs. These collars rely on physical discomfort or even pain to teach the dog what not to do. Some say that they suppress the unwanted behavior, but don’t teach the dog what the proper behavior is. At best, they are unpleasant for your dog, and at worst, they may cause your dog to act aggressively and even bite you. Others say that they are a quick and effective way to put an end to some behavior issues. You may like or dislike them. You have a right to your opinion. Anyway, we should talk about these collars, no matter what. So let’s do it. Is there a way to stop this never-ending pulling? Some believe that a choke chain collar may handle this. But in fact, is it really the case? As the name implies, this collar is made of metal links and is designed to control your dog by tightening around his or her neck. Did you know that there is a right way and a wrong way to put on a chain collar? It is supposed to sit high up on the dog’s neck just behind the ears. If you put it on correctly, the chain will easily release once the correction is complete. If you put it on wrong, the chain may still release, but not as quickly or easily as it should. This is where a dog may learn to hate these things. 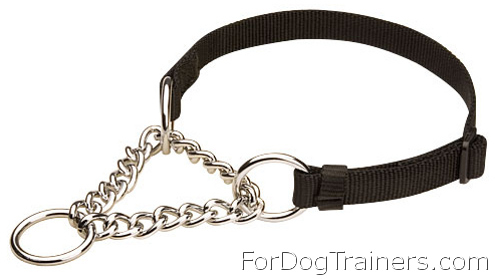 Unlike the martingale collar, there is no way to control how much the choke chain tightens, so it’s possible to choke or strangle your canine. It can cause other problems, too, such as injuries to the trachea and esophagus, injuries to blood vessels in the eyes, neck sprains, nerve damage, fainting, transient paralysis, and even death. Brrrr… Doesn’t seem like the remedy of the problem. it is not a punishment! Do not let the well-known name fool you. You do not need to choke your dog to get them to listen during training. Its design is to provide a means for giving a gentle correction. But if there is no urge to use a choke collar, do not do that. Remember: it is just a training tool, not a daily accessory. Generally used with stronger, more aggressive breeds. This Strong Chrome Plated Dog Choke Collar is easy in use and will help gain control over your large and naughty dog. This choke collar is produced to serve for many years. When it’s used properly, it will very quickly become your favourite training tool. You will be surprised with it’s durability, good quality and fast results after a short time of use. A prong collar. What is this thing? Is it an instrument of torture or a life-saving device? You need to know the truth. A prong or pinch collar is a pretty insane-looking device. It resembles something you’d expect to see in a horror movie. Due to its scary view, you’ll probably get some disapproving looks. It is a metal collar made of various prongs. Those prongs look really scary. Want to know how does this device work? The collar sits against a dog’s skin until the dog puts tension on the leash. Then the prongs pinch the dog’s neck to cause displeasure. That makes him or her mind. 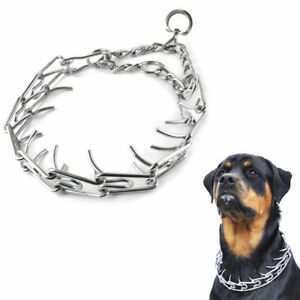 Just like the choke chain, the prong collar must be properly fitted. The size of the prong links should be appropriate for the size of your dog. The collar should sit high up on your dog’s neck, just behind their ears. The fit should be snug, so the prong links can’t shift to the front of your dog’s neck where they might pinch canine’s trachea. It’s really best to work together with a dog trainer, at first. He or she can teach you to use the collar effectively and humanely. But those who put them one on every dog are as misguided as those who refuse to use them. In other cases, it is totally up to you. The voice of dog trainers and experts may make the choice easier. “Are choke and prong collars humane if used properly? Even though it is proven that choke and prong collars contribute to neck, back, and spinal injuries as well as other issues in dogs, there are many who still believe that if used correctly, these collars are humane and effective tools that cause no pain or harm. Depending on what your personal definition of humane is, it is hard to argue that if something has the potential to cause such damage it should not be considered humane or safe. Any device that constricts around a neck, be it the neck of a human or canine, is dangerous and has the potential to do real harm. “Aversive trainers will often use choke and prong collars to perform ‘corrections’, essentially causing the dog pain any time he pulls on the leash or misbehaves. Don’t want to start a Holy War here and take one’s side! Prong collars have their own pros and cons. That would be another 100 page article only about these two if you ask me to explain! But what I want you to explain is the following. Some people don’t even realise what is the purpose of a prong collar, how to use it and how it works. I will show it to you through the comparison of a choke chain and prong collar. Choke collar helps you to control your dog using asphyxiating effect. When you pull a leash hard or your dogs pulls the chain tightens harder making your dog harder to breathe. Prong collars control your dog with a gentle pressure on his/her skin with prongs. You don’t need to be strong to control your dog. That may sound weird but a collar no matter flat or prong should work as a training tool! The final purpose is to control your dog VOCALLY! Ultimately, you want to have a trained dog and not have to use anything but a flat collar. You need to have a dog trained up to the point where your doggy would react to voice commands rather than you, pulling on the leash. The collar, no matter prong or choke one, is here to CONTROL your dog while your are TEACHING your canine! If you are using a prong or choke collar to show who is the boss, you are simply working around the problem, not on it! If fitted correctly it won’t damage your dog’s skin and it’s gentle on your dog’s neck. Dogs who pull on the leash can choke themselves and not even realise it. Through life 80% of dogs suffer from small or serious injuries of trachea, skin, neck or back caused by the collar and continuous pulling! No limits in tightening a collar. The pressure is spreaded not evenly through the collar. If embedded, choke collar cause much more trauma than embedded prong collar. Should be used under supervision. If fitted correctly it won’t damage your dog’s skin. The prongs are completely blunt, spread evenly and angled correctly to avoid any trauma. There is a limit you can tighten a collar! The pressure is spread evenly through the collar. Can’t be left on a dog for a long period of time. Through life only 3% of dogs suffer from injuries caused by prong collars. If used wrong can cause scar tissue (which has no feeling) and/or build up a tolerance to the painful pinching sensation and thus continue to pull. Legal to use anywhere in the world. It is illegal to use prong collars in some places. Going to other countries or visiting another state you should check law regulations for prong collars. Dogs may interpret the tightening of a choke collar around their neck as a stranglehold (which it is, after all!) and become fearful or even aggressive. Whiplash, fainting, spinal cord injuries leading to paralysis. Crushing of the trachea with partial or complete asphyxiation. Crushing and/or fracture of the bones in the larynx, dislocated neck bones, bruising of the esophagus. Bruising and damage to the skin and tissues in the neck. Brain damage and prolapsed eyes caused by sharp increases in pressure in the head. 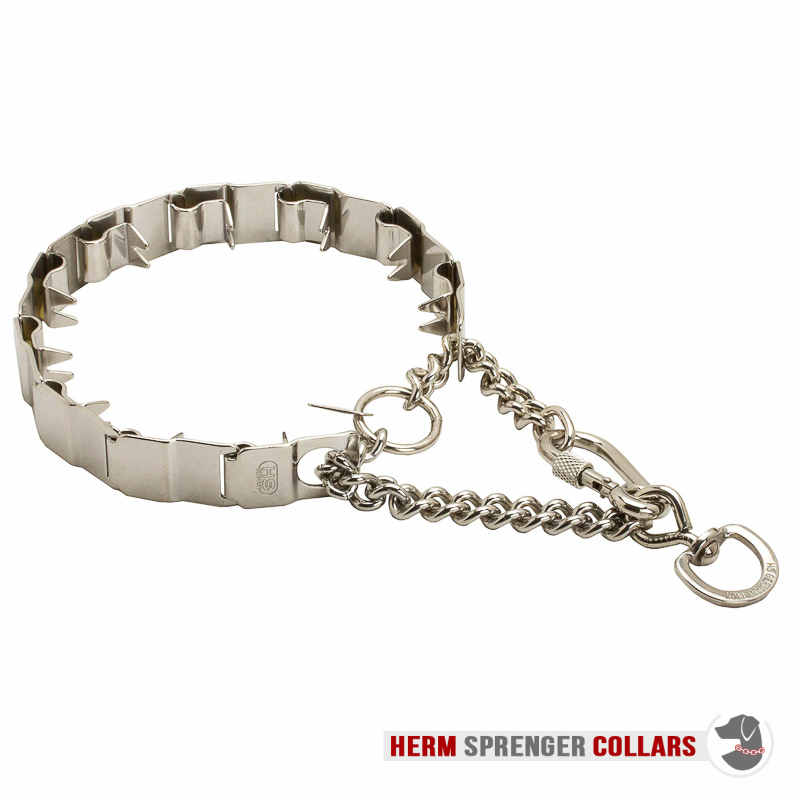 Metal spikes of prong collars can pinch the skin around dogs’ necks when they pull and can scratch or puncture them. To find out more on how to use and wear prong collar, I recommend you to watch these videos! First, second, third. The last friendly piece of advice. Low quality material! It is not strong/reliable and can’t guarantee you that your dog will be under control. Links can easily bend! Bent links will disengage and set your dog free. Low quality paint. Well, you don’t want to see stains on your dog’s fur, do you? Chrome plating that flakes with time – oh, what can be worse? This can pierce and enter the dog’s skin, causing a serious infection that can require medical treatment! Radiation! Yes, you read that right! Before manufacturing specialists always check the level of radiation of metal that came to the factory! How do you think, how many of such specialists are hired by illegal factories? Phew now I feel released when you know why it is dangerous to buy cheap collars! These things will never happen with a Herm Sprenger collar. It is the only brand I trust. So, if it doesn’t say Herm Sprenger on it, do not touch it. How do you identify a Sprenger collar? Isn’t adjustable, so should be chosen for a definite dog and match her or him perfectly. 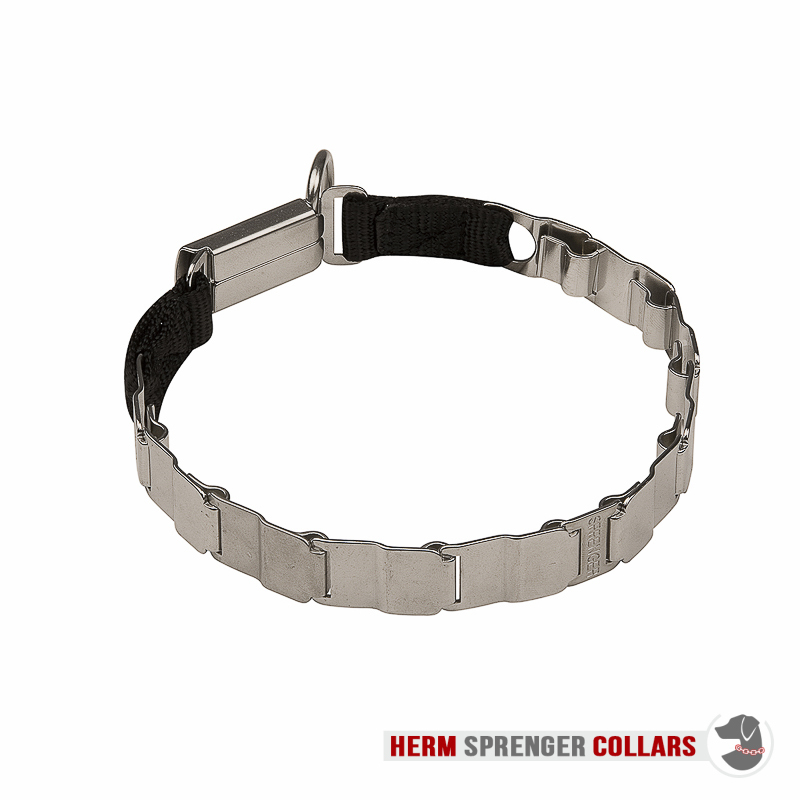 This Herm Sprenger Stainless Steel Pinch Collar is specially designed for training purposes. Purchasing this item, you will see how easier you life will become! It helps to control your dog with minimum efforts. Being made of stainless steel, it will not stain fur of your fair haired dog. I won’t talk much about them. In fact, these are ordinary prong collars with one peculiarity – ultra discreet appearance due to special prongs. There are two modifications of a Neck-Tech collar – Sport and Fun. The NeckTech Sport is a traditional pinch collar with sharp prongs that pinch dog’s neck. This collar works like an ordinary pinch collar, but has a more appealing look. Experienced dog trainers say that dogs react with more attention while wearing the Neck-Tech rather than an ordinary pinch collar. By using the Neck-Tech the dog trainer can communicate more sensitively and in a way that is understandable to the dog, especially those with shorter hair. The Neck-Teck ‘Fun’ is a prongless modification of a pinch collar. It is a kind of a “light version” that is gentle on the dog’ neck. So, what is the use of it? Herm Sprenger says that is designed for those who just love the look of a Neck-Tech collar, but do not need a training collar for their dogs. Excessive barking? Unwanted aggression? Pet containment? General stubborn behavior? A shock dog collar can curb them. Just as all aversive collars, a shock collar is not a punishment. And producers stress on it. However, the concept of this collar type is misunderstood by some dog parents. And as a result – an innocent creature suffers. Just because their owners are not aware of the proper use of a shock collar. But this is not about you. You are a responsible pet handler who firstly study the issue in depth and then act. So, my caring dog parents, here are some insights to shock collars. Your dog will associate the unwanted behavior with an electronic signal that the collar sends as he or she misbehaves. It can range from a mild tickling sensation to a painful shock. Is it safe? The producers claim that under correct usage such items are safe. They won’t do any lasting physical harm. Are they right? Let’s see what do the experts say. But Victoria Stilwell is of a different view. This is what she feels about it. Maybe Sara Logan Wilson’s list of the advantages and disadvantages of a shock collar will help you make up your mind. Adjustable Intensity – most modern shock collars give you the flexibility of a warning beep or vibration mode, and adjustable settings on the levels of shock, which can be comforting to people who are on the fence about using a shock collar. Fast Results – some pet owners report that it only took a few shocks to correct an unwanted behavior of their dogs and after that, the beep or vibration was warning enough. You Don’t Need to Be Present – when shock collars are used to control chronic barking, they work even while owner is away from home or inside the house. Affordable – a shock collar can be a cheaper alternative to a professional dog trainer or a fence. The Shock – most pet owners can’t fathom causing pain to their pet. Even with the ability to control the intensity of the shock. You are still using aversive behavior modification. The Fear – with shock training, some dogs may learn to fear people, objects, or situations they associate with the collar. Some owners said their dogs refused to go outside after training with the invisible fence they installed and started urinating in the house instead of going to the back door. 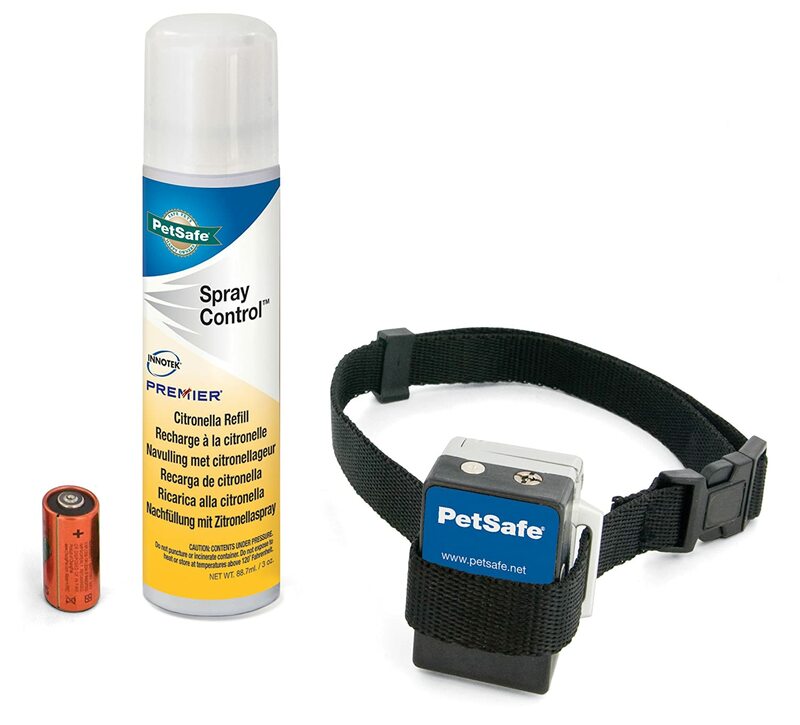 Over-Correction – without an owner there to control when a shock is administered, electric collars may deliver shocks unintentionally or too often. This unnecessary shock could confuse a dog by “correcting” a problem that was not even there. No Positive Reward – on their own, shock collars don’t reinforce good behavior with a positive reward such as owner’s affection, verbal approval (“Good boy!”) or a tasty treat. That is all. Hope this helped you somehow. Every package consists of a collar for a dog and remote for a trainer. This Petrainer Training Collar is quite an effective and safe tool for pet training, as producer says. Following the correct operation instructions, you can effectively train your pet and make him a docile and adorable creature. This product is for pet training only when the pet can understand the intention of his owner. But please keep in mind that training sessions should be kept positive and short, about 10-15 minutes each time. And one more important point: often sellers claim their collars are waterproof, like this one. Yes, but it refers only to situations when you are caught by the rain or walk in the middle of a snow storm. Do not let your pooch swim in water with this collar on. Collar length is adjustable from 8 to 20 inch, but it’s better to check the range before purchase. These are not around-the-clock collars. On the contrary, they are used for short periods of time and for a specific aim. For example, some items deal with fleas. Others – help to determine dog’s location at a particular time. Some devices are used for dog training when dogs are aggressive and can’t be trained in a common way (for example, uncontrolled barking). But please note that these collars are only devices and not a cure-all. Nothing will replace proper training and your care. Do you remember Mel from the Secret Life of Pets? The adorable pug who barks when squirrels appear in his sight. Poor neighbors. I feel for them. But how many Mels are there in your apartment building? Or do you have that very Mel of your own who annoys neighbors? There is a bark control solution. Of course, there is no need to fall into extremes if your pet just wants to draw your attention. My advice here is simply to determine the root of barking. Barking is your dog’s way of sending you a distress signal. Somewhere his needs as an animal are not being met. show they’re stressed, bored or lonely. And here is the main problem of a bark control collar. Yes, some bark collars may reduce barking. But at the same time they can’t reduce the stress that causes a dog to bark. And now just think it over: your dog is stressed. And you add more stress by using a collar that delivers discomfort or even hurts. Will it solve the problem? I personally have doubts. But… You’ve tried all possible ways of solving this problem. And nothing gave you the desirable result. Then you have the last chance – a bark control collar. Today you can choose from several variations. 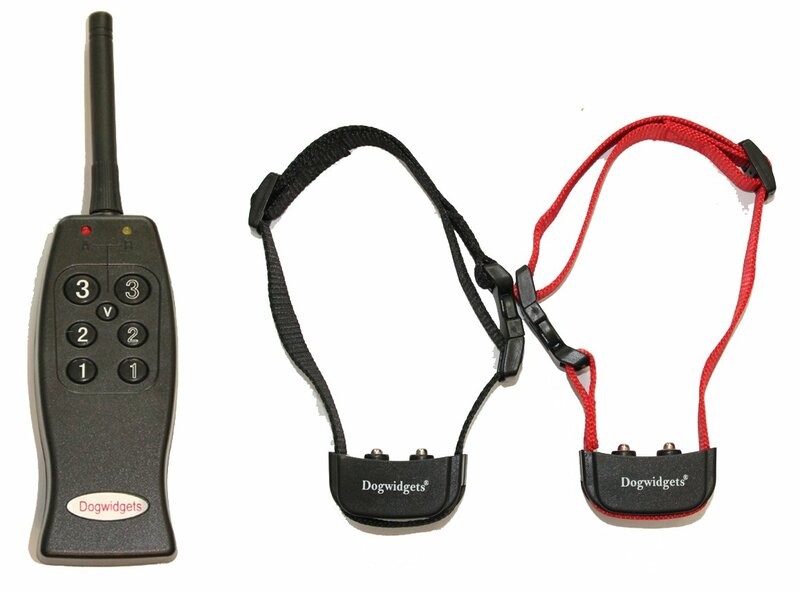 These collars have multiple levels of stimulation based on how quickly the dog learns. In other words, the collar will continue to provide increasing levels of shock until the dog learns. So, let’s take a look at what producers of shock collars have for us. 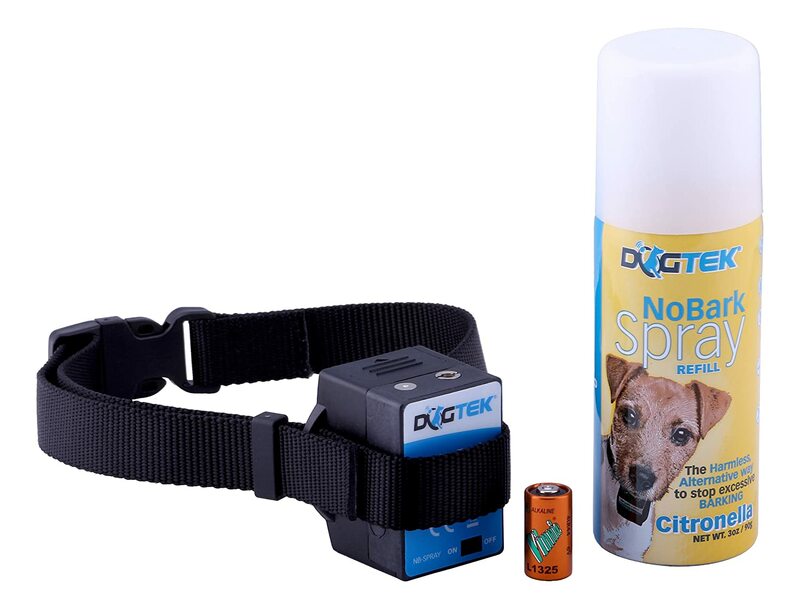 A spray collar sprays a non-toxic substance in the dog’s face to reduce barking. So, how does it work? And how does the collar know that it is time to sprinkle those liquid on the dog’s face? The mechanism that sits against the dog’s throat sends out a spray of citronella (in some models water or lemon juice is used) scented liquid when your dog begins to bark (the collar feels it via microphone). For most dogs the scent of the citronella is unpleasant and will deter any further barking. But please don’t use it when your dog is with other dogs. Another dog’s bark may trigger your dog’s collar. Comparing other bark control collars, this one is probably the most humane. As always, a fly in the ointment. But the fly is really tiny. And will not make great difference if it solves a huge problem. Sometimes doesn’t react to high-pitched barks, making it ineffective. 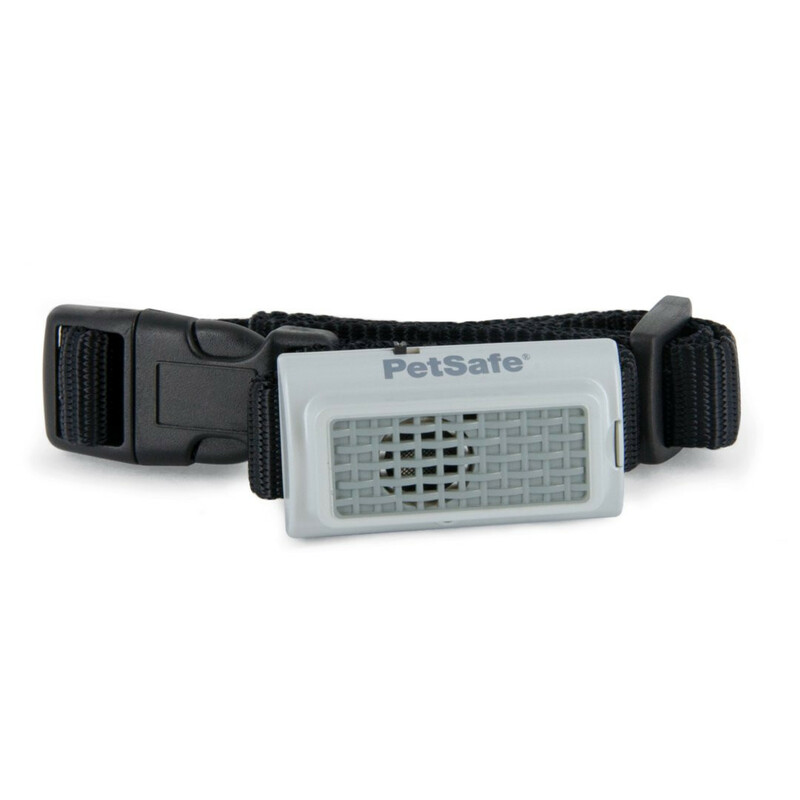 A good example of this type is the PetSafe Gentle Spray Bark Collar. It is a good addition to your already-in-place training regime because it’s a cinch to operate and harmless to your pet and family. Can a sound stop barking? Let’s see. Sonic collars have a device that sits against a dog’s throat. When he or she barks, it detects the vibration and sends out a high-pitched noise. But do not worry. You won’t hear it. It is detectable to a canine only. It will not work for all dogs because of such factors like age, hearing ability and temperament. This Ultrasonic Bark Control Collar, as it should do, uses an ultrasonic tone to deter nuisance barking, giving you peace and quiet wherever you and your dog go. 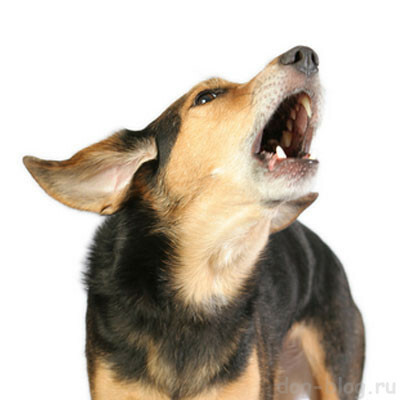 Whenever your dog barks, he’ll hear a high-pitched sound that’s inaudible to most humans. The harmless yet annoying ultrasonic tone stops as soon as he stops barking, which quickly and effectively teaches a dog to stop barking. The collar is lightweight, water-resistant, and comfortable so your dog can wear it at home, at the vet, in the park or anywhere he likes to bark. Also, shock collars will also do for this purpose. We’ve just talked about them. Follow the link to recollect our conversation. In any case, be careful before purchasing and using this collar type. It can be a particularly difficult thing to fit to an individual dog. It’s recommended to discuss with a vet which bark collar is right for your pet. Some dogs are simply too sensitive to shock collars. So many owners are rejecting them on principle alone. In such cases, collars that vibrate, rather than shock, may provide a worthy option. These collars are also used for training of deaf dogs who can’t hear your voice or a clicker. The collar is typically attached via a rubber or fabric collar. And it contacts a dog’s neck via a pair of rubber or metal prongs. Frankly speaking, I found no trainers’ and vets’ confirmations that these collars can be used for training. So , is it a means to attracting dog’s attention or an effective training tool? Hard to say. It depends on your training methods and dog’s temperament. Some units can be triggered by a hand-held remote, but most models work automatically when they sense your dog trying to vocalize. The Dogwidgets Vibration-Only E-Collar is a remotely controlled vibrating collar, designed to help you get your dog’s attention or deliver corrections. The kit usually consists of pair of collars, but they can be individually activated with a single remote control. This collar allows owners to manually trigger three different types of vibration via three different sets of buttons. 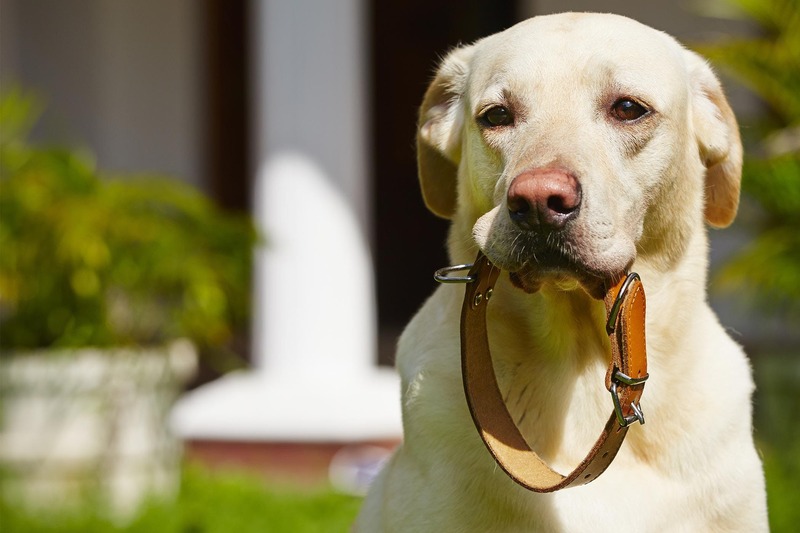 Some users claim that this is a good collar that helps to stop their dog’s barking, while others used it to help eliminate undesirable behaviors, such as jumping up on people. It’s quite good but can be quite difficult to fit it to very small dogs. Does your pet have annoying inhabitants that give him the heebie-jeebies? No worries. A flea collar can make them go away. 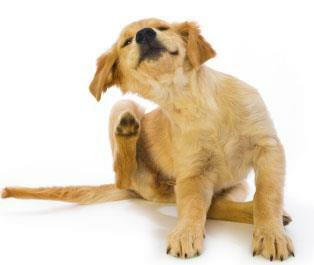 Flea collars kill fleas by slowly releasing pesticides and chemicals that are poisonous to them. absorption-based collars release a chemical that is absorbed into your pet’s skin, killing fleas when they bite. So, now you know types of flea collars and how they work. But you may also wonder if they are safe. Collar’s safety depends on its type. Electronic collars are less harmful and are unlikely to deliver any unpleasant feelings to the dog. But the latter two make a difference. Not only do the chemicals smell unpleasant, they’re toxic and can cause sickness or fatality if ingested. But, in fact, all models are different. And if you decide to buy such a collar, contact a specialist. Kelsey Cruz suggests taking into account that such collars can be effective if they are used correctly. If the collar is constantly being taken off or it gets wet because it’s not waterproof, the effectiveness will fade. It’s smart to check your collar’s packaging information for specific instructions. What’s more, most vets agree that the collars often don’t work because fleas have built up immunity to the collars’ main insecticide – permethrin. If your pet is very young, very old, pregnant, or nursing, he or she should not wear a flea collar due to the toxic chemicals. 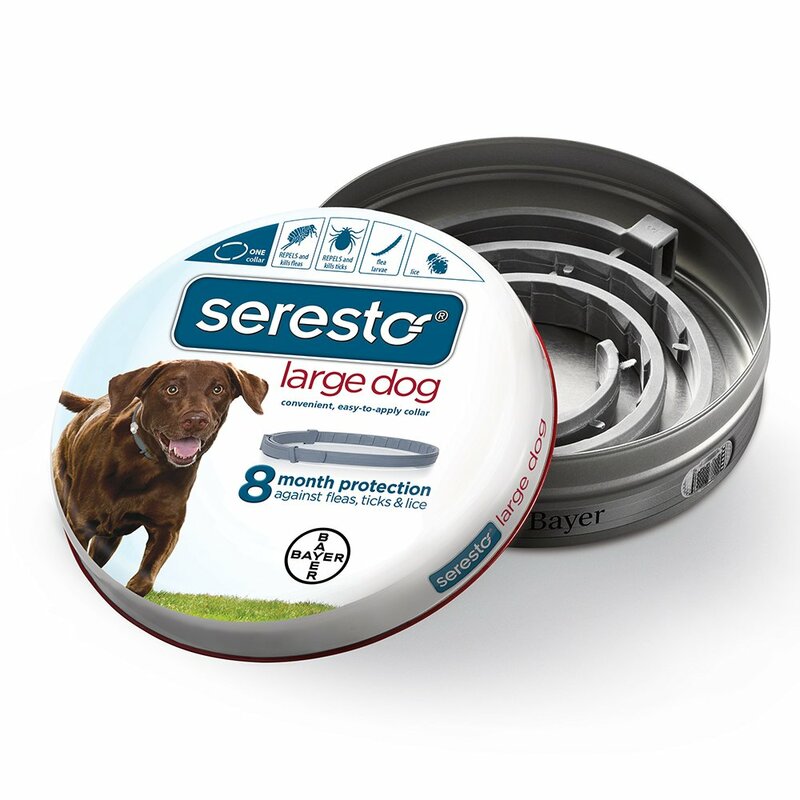 This Bayer Seresto Flea and Tick Collar brings together all the ingredients you want to see in a flea collar for your pet. It’s filled with effective pesticides with low toxicity for dogs. The collar provides long-lasting protection and modern breakaway technology that prevents choking. Also it’s water-resistant and can survive a few accidental immersions. Shannon Cutts explains why does a dog need this collar type. “It looks so weird and funny, it is easy to assume your dog did something wrong and that wearing the cone is his punishment. Like a dunce hat! But your dog didn’t do anything wrong. He is just being a dog. The truth is, when something itches, hurts or simply feels not-right, a dog is going to investigate it no matter who is watching or what they may be thinking. Eyes, ears, tails, feet, skin, butts – no body part is off limits when your pooch is attempting to make the discomfort stop. The “shame” part more likely comes into play partly because the sight of any dog with cone in place naturally evokes our sympathy. 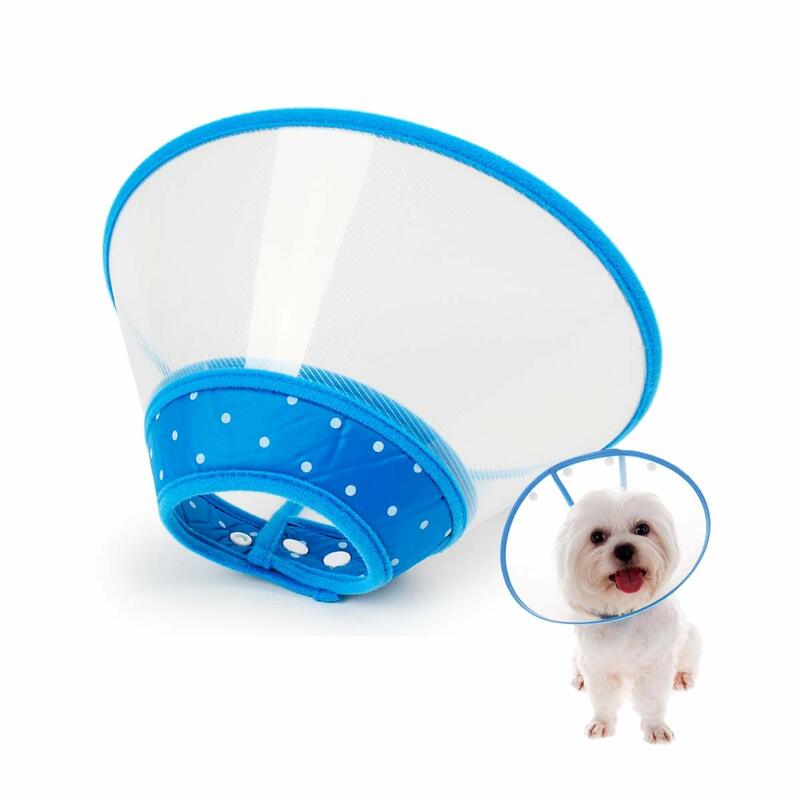 So, an E-collar is a wide, plastic, cone-shaped collar used to prevent your dog from licking or scratching wounds while they heal. If your dog has surgery, your vet might send him home with an E-collar. Licking or chewing the affected area could lead to loose stitches, infection or ingested topical medications. Without this collar, your dog stands the chance of re-injury or worse. Typically there are tabs or loops on the Elizabethan collar so it can be attached to your dog’s regular collar. Some models have hook and loop closures to secure it. 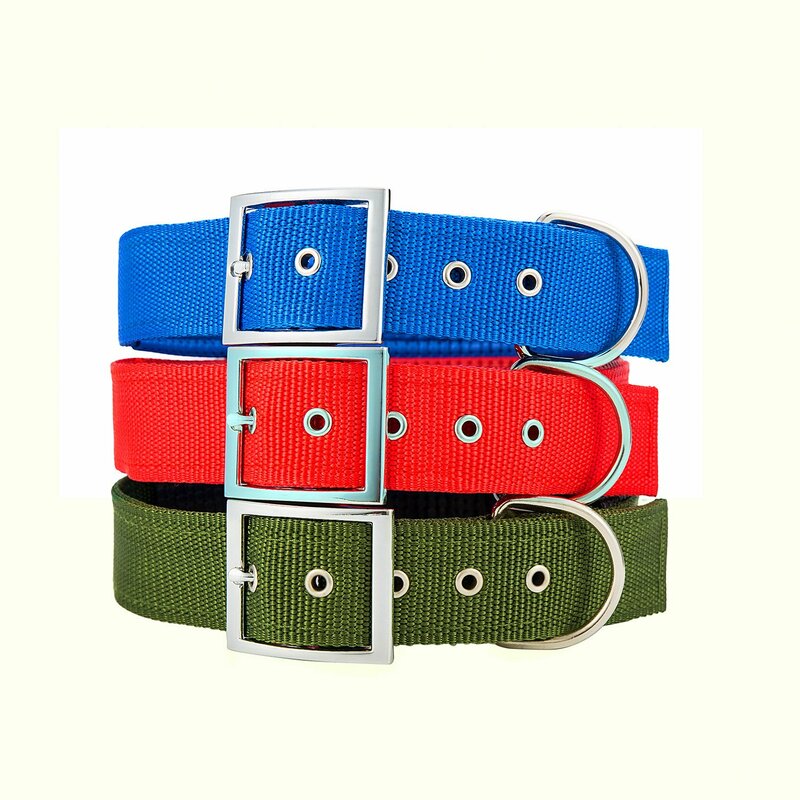 These collars come in a variety of sizes to ensure proper fit for your dog. They should be able to eat and drink with the collar in place but not be able to get at the injury. Some dogs dislike the cone initially and try to take it off. So it may take a little time for your pet to adjust to wearing a cone. By projecting a positive attitude, providing plenty of treats, and learning a little more about the benefits of the cone, your pet will have better chances of recovering sooner. This Adjustable Recovery Pet Collar Cone prevents animals from aggravating a healing wound or injury. It is suitable for small dogs such as American Shorthair, Miniature Pinscher and similar breed of dogs. Pets rest more easily as the soft fabric edge lets them lay their head comfortably in any position. Do you have an escape artist? An aging animal? Or perhaps a pet you take on trips? And, of course, you want to keep them safe, by your side and to know where they are located right now. But how can you do that? You do not have to be a psychic or use a crystal ball to see where your pet is. Luckily, today you can keep your dog safer by purchasing a GPS dog tracker. Now, you’ll be able to locate your dog and bring him home much more quickly. 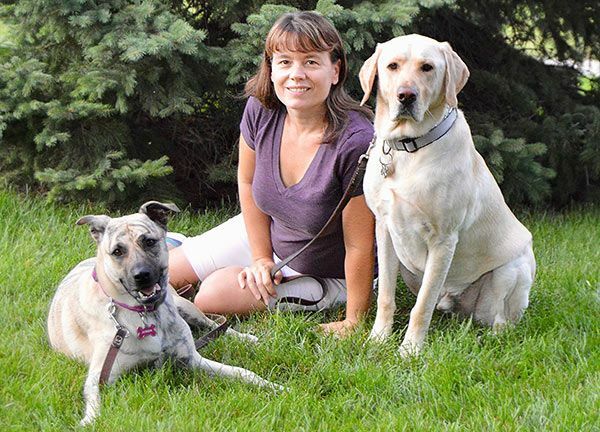 To help you choose just the right GPS dog tracker device or tracking collar, the bestpettracker.com suggests taking a look at 2 groups of GPS collars, radio tracker or GPS tracker. They both have their own advantages. But here you have make a choice depending on your own needs and the area where you live. Lightweight and easy in usage. This LINK AKC Smart Dog Collar is a sophisticated GPS smart collar designed for dog’s comfort, fit and fashion. It lets you track a lost dog with GPS, monitor activity, log vet records, receive ambient temperature alerts, and much more. 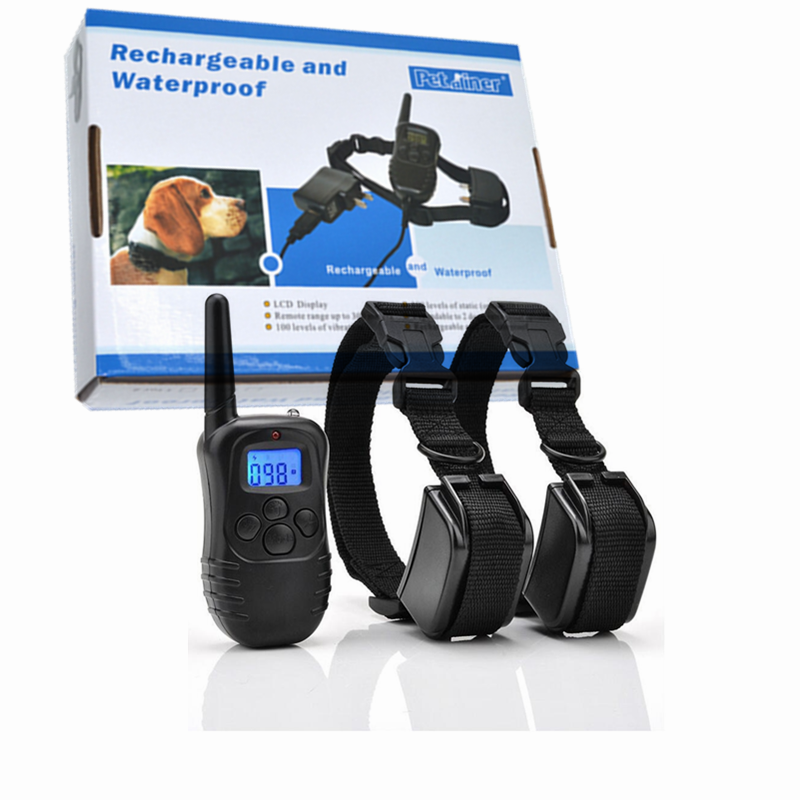 Every kit consists of a Latigo leather collar ( S, M, L or XL size), a LINK AKC tracking unit, collar carrier, a sleekly-designed LINK AKC base station and charging cord. You will know your dog’s location with fast and accurate GPS tracking enabled by the AT&T cellular network, but please pay attention that service plan is required. Not recommended for dogs under 10 pounds. It is not a kind of collar you will often come across… (if you scroll down, you will see no TAKE A LOOK! part. They are really hard to find). Wolf collars, or sometimes called protection collars, are collars fitted with large metal spikes pointing away from the dog. Wolf collars are usually worn by dogs that work to protect livestock in case they are attacked by predators such as wolves and coyotes. These types of collars protect the dog’s neck from an incoming attack. Nowaday it’s used quite rarely in the most far areas of the Earth. Lighted LED dog collars let you see your pet even in the dead of night. Have you ever thought that lighted collars allow dogs to see well, when these are worn? It is a misconception. Even though it has a point. The light is actually for the owner’s, dog’s and motorists’ advantage because the pet can be seen from afar. When the sun begins to set or those winter nights start creeping up on you, it may be harder to see your best friend bounding through a field. 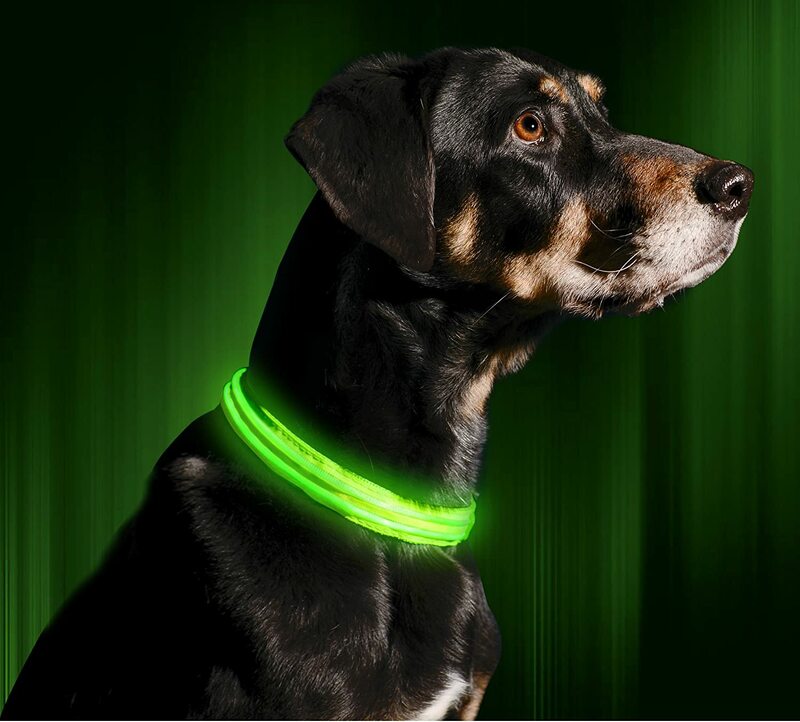 A collar that lights up all on its own, is a great choice for doggy night owls. They are battery operated, and the battery being used is usually coin cells to reduce the added weight. This LED Dog Collar from the Illumiseen is important not for dogs but for vehicles on the road that will see your dog well in advance with this bright collar. It provides optimal awareness, even when it’s completely dark outside, and give you some peace of mind – you always know that you and your dog are seen and safe. Dogs are not lchthyanders. And, unfortunately, they may drown. But there is the product to prevent it. A flotation or buoyant collar is a swim aid for dogs which holds your dog’s head and nose above water. Emily Young states that nowadays, the primary purpose of a flotation collar is to assist an injured dog during hydrotherapy sessions where the dog is having motor exercises while recovering from an injury. But in fact, it is not always the case. My friends often put such collars on their pets when they are going to make a trip on a board. Protects a pet from drowning. This Hedz UP Watercollar is a good life preserver collar for dogs. 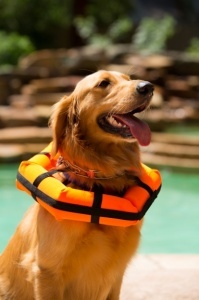 The Watercollar protects dogs like the human Personal Flotation Device (PFD) protects humans. If your dog should become exhausted, or even unconscious, the Watercollar holds him in a position of safety, with his nose well above the water. When the dog is swimming, or if he falls into the water, the straps position the flotation under the chin to keep the dog’s ears and nose above the water. It’s comfortable enough to wear all day, so your dog can play with you on the water continuously and stay protected. See? We did it! I am proud of you, guys! You’ve reached this far and still keep on reading me. And I will tell you why. It‘s not because you find it quite an interesting read (though I do hope so). It is because you are a responsible pet parent and want to make an educated choice. But I’m sure you still have a lot of questions: which one is better – leather, faux leather, nylon or metal chains; how to determine the correct size of a collar; should a collar be wateproof? And many, many other. I’ll give the answers to all your questions and relieve you from the headache with the name “the best collar for my Brown or Browny”. Ready to go to the next chapter? Bet you are, but before we go further there is one small but yet very important topic we need to talk about! Does the collar size really matter for the dog? Yes, it does. And you can learn that the hard way. Just wear a tie and then tighten it. What do you feel? Do you now think that the collar size means nothing? But I do believe that you don’t need to carry out those manipulations. I am pretty sure you know well how important the collar size is. So, how should you know that the collar you are purchasing is of proper size? Let’s see it. The first thing that you need to do is to measure the size of your dog’s neck. Depending on the dogs size, the measurements are made an inch or so below the neck. Holle Abbee, a famous blogger at pethelpful.com, suggests making sure you can fit two fingers under the collar, as an average. With small dog breeds, you should be able to fit one finger, for medium-sized dog breeds, you should be able to fit two fingers, and for large dog breeds, you should be able to fit three fingers between the dog’s neck and the collar. You don’t want it to be too loose, either. The collar should be fairly snug, but it shouldn’t be tight. Dog collars that are at either extreme can be dangerous. Too-tight collars can embed themselves in the canine’s flesh, and too-loose collars can slip over your puppy’s head. That could be fatal if you’re walking in traffic. Collars that are too loose can also present choking hazards. Puppies are curious into everything, and a collar that’s too loose could catch on something and cause choking or strangulation. 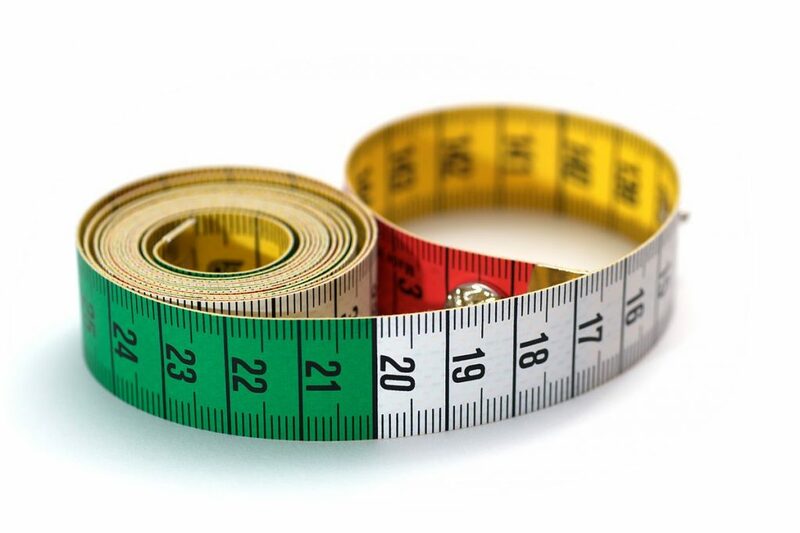 The easiest way to measure your dog’s neck size is with a measuring tape. A shoestring and measuring tape or ruler works in a pinch, too. Take a tape and wrap it around your dog’s neck between the ears and the collar bone, where your dog will wear his collar. Add 2 inches to this measurement, and you have your dog’s neck size. When you put your dog’s collar on, you should be able to fit two fingers underneath, between your dog’s body and the collar. Most suppliers offer collars in different sizes. So it won’t be a problem for you to find the appropriate one for this four-legged friend. In any case, even if you have doubts, you can contact the manufacturer and ask your questions regarding the size. I guess you may have noticed that collars vary not only in their lengths. Width is also important. So, which collar width should you choose for your dog? In general, thicker collars provide more support, making them ideal for stronger dogs. Thin collars can dig into their necks, causing major discomfort, so they are good only for smaller dogs. Wide collars are more comfortable because they will reduce the pressure on the neck. But also they will weigh more, so aren’t good for small breeds. If you are unsure about your dog’s strength, the best option is to go with a collar that is 1 ½ inch wide. Generally speaking, you would select a smaller width for a smaller dog, and thicker width for bigger dogs. Not all materials are created equal. And it’s true. Some perform better, while others serve just like a decorative means or are even dangerous. So the logical question is – what is the best material for a dog collar and what should it be like? We will find it out right now. The list of features seems to be not very long. But the choice of the material can take hours. And I want to save your time. So just read the information about materials below. Why is leather so popular with dog lovers? Because it rocks! It is a natural material. It’s often less irritating than other stuff. 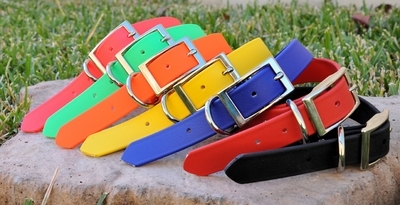 Leather dog collars are durable and strong. They are designed to cope with boisterous dogs who may tug at their lead. Leather is also a long-lasting and …. can be water resistant. Of course, leather can never be truly 100% waterproof – especially as leather gets older and is left untreated. Leather itself is not well mixed with water. Yes, it has some water resistance, but too much water will cause leather to become wet. As leather dries, it can become stiff and hard, losing that wonderful supple texture. If leather doesn’t dry quickly enough, it could even start to rot. However, if leather is treated in a specific manner you can not only increase its lifespan, but also improve its level of waterproofness. This makes it one of the most popular choices of material when it comes to buying a dog collar. Leather is a perfect variant for everyday use. But it is also used for training collars, where strength and durability are important. 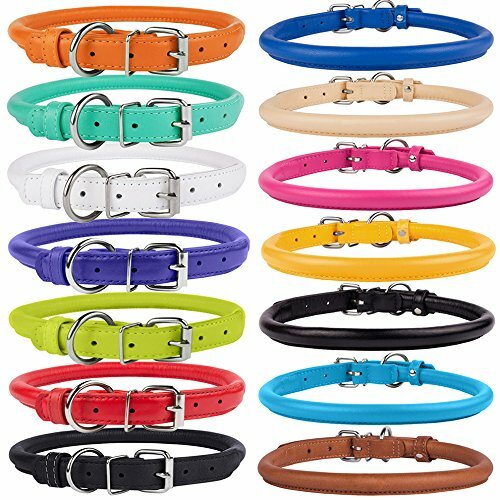 The variety of leather dog collars will drive you crazy. How are you supposed to choose from such a huge selection? 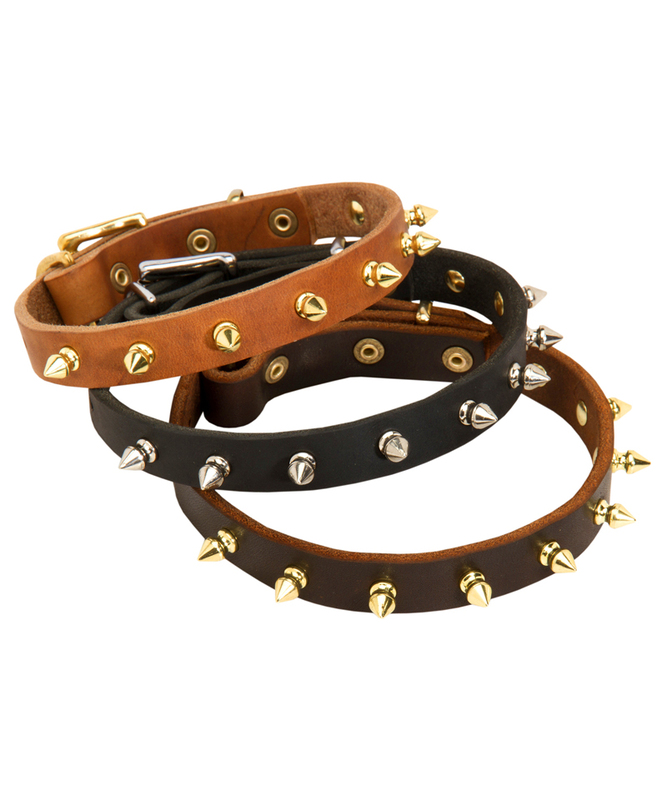 Leather dog collars are available with metal studs, metal spikes, jingle bells, and embossing. They also come in several colors and styles. Most leather collars are flat, but round or rolled versions can also be found. Phew! And this is not the full range of options available. But in general. 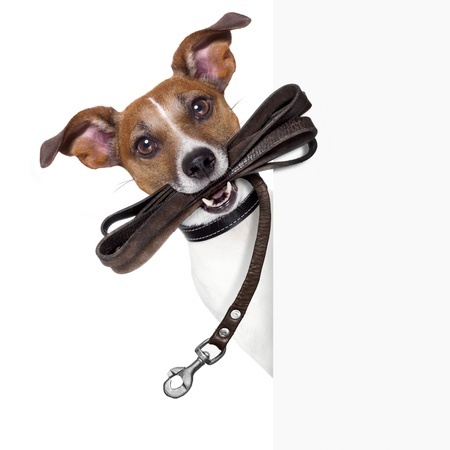 What are the reasons why you should get and not get a leather dog collar for your Fido? DON’T buy a leather collar for a puppy, as it will not be adjustable enough and you will have to purchase another collar very soon. Leather is a popular material. And I guess it explains why there are many alternatives to it. Let’s take a look what the dog collar market has to offer. Guys from the Dog Collars Boutique claim that not all leather alternatives are poor quality, and some are even made of high end materials that cost more than real leather. Collars made from patent leather are created for those who want a quality yet extraordinary canine accessory. Sometimes this material is confused with imitation leather because of its high sheen. It is in fact real leather, but modern patent leather has a plastic or synthetic coating that keeps its gloss. Patent leather is durable, but its finish may scuff or crack with long wear. Such collars are a great alternative to traditional leather if you want a high quality special occasion collar that will last for years provided it is not used every day. Bio-imitative leather is an eco-friendly leather alternative that does not contain any real leather or animal products. Dog collars from this innovative material are designed to look, feel, and soften with age just like true leather. It exceeds leather in strength and is even resistant to bacteria, mold, and algae. A bio-imitative leather dog collar is as comfortable as leather, and even more suitable to all outdoor conditions. And, of course, you might have heard about collars made from faux leather, or as it’s also called vegan leather or pleather. It’s an inexpensive material that makes up a lot of cheap dog collars that are on the market. While collars made from this material may be less expensive and fashionable, they won’t last as long or be as durable as standard leather. Avoid this material for everyday usage, better use it only for fashion collars (if you desire). Nylon dog collars are perhaps the most popular dog collars on the Earth. Nylon is tough and durable, and such dog collars handle water well. They’re very easy to clean, too, and they’re generally less expensive than leather dog collars. Another plus to nylon collars is that they’re often adjustable – by more than just a notch or two. Plus, it’s easy to find leashes that are an exact match. You can find nylon dog collars with all sorts of embellishments, including metal studs, metal spikes, embroidery, bells, and even charms that dangle. The collars might also be decorated with rhinestones or fancy beadwork. Nylon dog collars come in practically any color you can think of, including solids, stripes, wild animal prints, geometrical designs, florals, and other prints. It’s easy to find a wide range of selections. The flexibility of nylon allows its use in every kind of collar and lead, from everyday wear to training collars, couplers, and outdoor uses. However, Holle Abee states that these collars have a weak side. They might irritate the skin and break the hair shafts of the coat. Nylon collars tend to lose their looks over time, as the fabric begins to fray around the edges and the original color fades. But it is not a problem at all. You can get another one. Prices allow to change them every single day. DON’T buy typical synthetics (polyester for instance) for show collars or special events. There are much better-looking materials. I was like a kid in a candy store when I googled for fabric dog collars. What an an embarrassment of riches! What a vast selection! Want them ALL! Fabric is a great means through which to express your dog’s unique personality, and nowadays fabric collars run the gamut from inexpensive ribbon collars to high end handmade works of art. 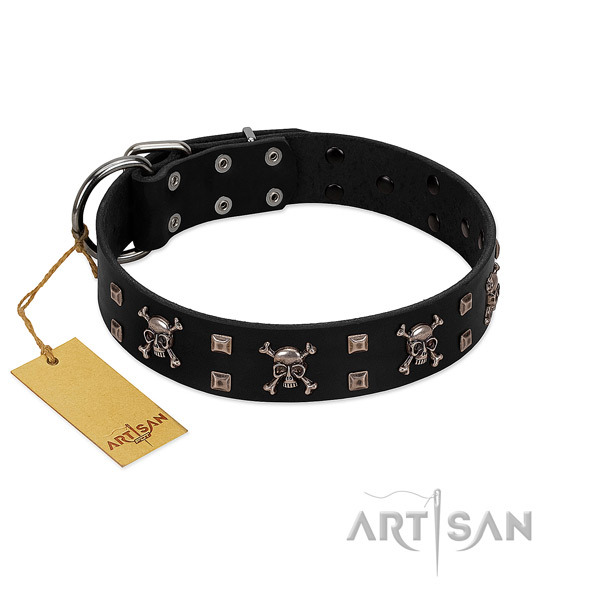 They come in a variety of styles to suit even the most discerning dog. But before you buy a fabric collar, you should consider if fabric is a right choice for your pet. It is not as durable as leather or synthetics, and in some cases fabric collars are only meant for occasional wear. If you have a small dog, however, fabric may be perfectly fine for daily use. But on a larger and more active dog, like a Lab or a Rottie, fabric may be something you want to avoid, or simply use for a dog party or other special event. DON’T buy fabric for a large, rambunctious dog, a dog that pulls, or an outdoor dog – unless you only plan to use the collar on a special occasion. Neoprene is a soft rubber material reinforced with nylon webbing for added strength, stretch, and durability. Neoprene makes for excellent waterproof dog collars. Dog collars from neoprene are usually comfortable for wearing, and as they are drying fast. It’s the best solution for dogs who likes to swim. Also neoprene collars are good for dogs that have sensitive skin or tend to be allergic. But at the same time, you should note that such collars are limited in design, they are more expensive and bulkier than nylon. Have you ever heard of polypropylene? It is a kind of woven fabric that is really very-very strong. 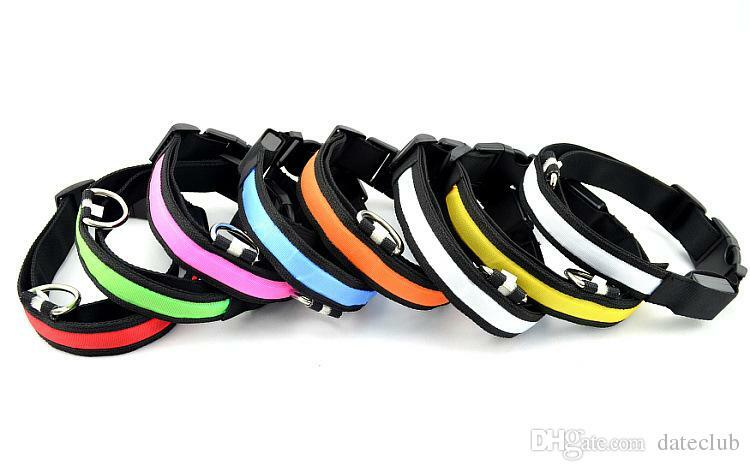 Polypropylene collars are available in different colors and quite popular because of an affordable price. But also please keep in mind that they wear out quite quickly if you use them day by day. So you should replace them with a new one often. Do you ever wonder why most people buy standard nylon and synthetic collars? Simply because they are what are usually promoted in pet stores and by pet shops. And I understand them. These are what most dog parents ask for – something cheap, good-looking and strong. But there is a much better option out there for you and your dog – rope dog collar. Such collars are a good combination of cotton rope and metal elements. Thanks to this many of the models are used for an active doggie lifestyle. Did you know that paracord is not merely used for basic survival in the wild? Yes, it was some time ago. 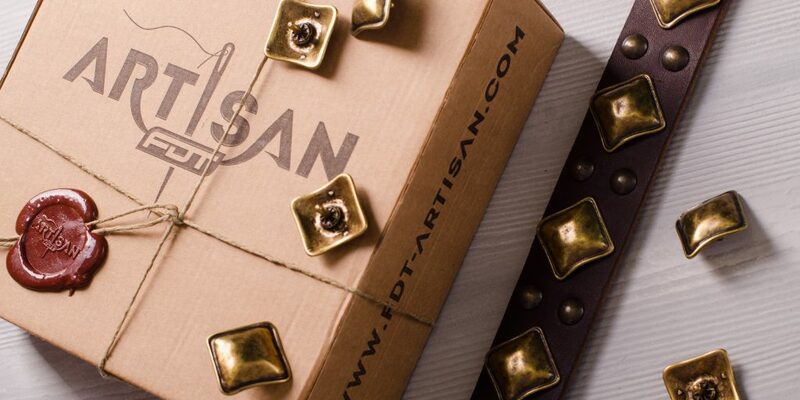 Some genius discovered its aesthetic beauty and started using it for making dog collars. Usually, paracord collars are mostly preferred by dog owners who love to spend their time outdoors. But it is not always the case. Even if you are not an outdoor type, you can still make use of it. You can create your own designs. Aside from that, you can also pick your own color without sacrificing quality of materials. Paracord comes in such a wide range of colors that you can definitely personalize the look of your pet collar. The patterns come with a variety of strengths as well. You can make stronger ones for large dogs and smaller or thinner ones for small dogs. This way, you don’t have to worry about getting a wrong fit for your dog. So, if you decided that your dog should wear a paracord collar created with your own hands, here is a tutorial for you. John Walton gives instruction on how to make a paracord collar. Who would have thought that plastic would become the material for producing dog collars? Holle Abee says that plastic dog collars are fun and cheap, and they come in all sorts of designs, including holiday themes. Such collars are more for decorative purposes than they are for controlling the canine. Since they’re so inexpensive, they can be changed out frequently to match doggie clothing. A good quality collar of this type might be completely waterproof, impervious to dirt, debris and easy to clean. To clean, simply rinse with water or wipe off with a wet rag! So, guys, martingale, choke chain, prong and fur saver collars are all made of metal. They can be used only for dog training, hard and intensive work of your canine, so you should choose items made from a high quality material. Stainless steel, brass, chrome plated steel, curogan… Let’s see what in these materials for you and your dog. Stainless steel is probably the most universal metal. This material is associated with corrosion resistance, but it can do much more. Stainless steel is amazingly hypoallergenic on account of its anti-allergic properties. If you have a dog with fair fur, you’d better choose a collar made of stainless steel since it won’t discolor his/her hair. Chrome plating provides color, hardness, hygiene, permanence, strength and resistance to corrosion, decay, temperature and wear. Brass often has a bright gold appearance, however, it can also be reddish-gold in color or silvery-white. Brass resists corrosion, including galvanic corrosion from salt water. Curogan is a copper-tin alloy that is it very durable. Being nickel free, it does not provoke dog hair discoloration or allergy if compared with other products of the sort! DON’T buy a metal collar for everyday wear. Your dog could choke if left alone. The skin underneath the collar has “crusted” up and/or filled with pus at some places. I’ve just listed the basic materials for dog collars. I do hope that this information will save the day and you now know which material to pick. You may know from my previous articles that the saying “Brevity is the soul of wit” is definitely not about me . Yes, I am a chatterbox. Even through the keyboard. But it is not because I want to bore you to death. I aim at making you a PRO in all these collar matters. So, my dear friend, stick around for 10 more minutes. I have more thing to talk with you about. What? Why should I pay attention to the closure of the collar? Aren’t type and material enough? You may wonder. And my answer is NO. Closure is as important as the type and material. Even the most durable collar on earth is useless if the closure fails. So, be aware of closures’ types to be 100% sure that the collar you get is a reliable means of control. 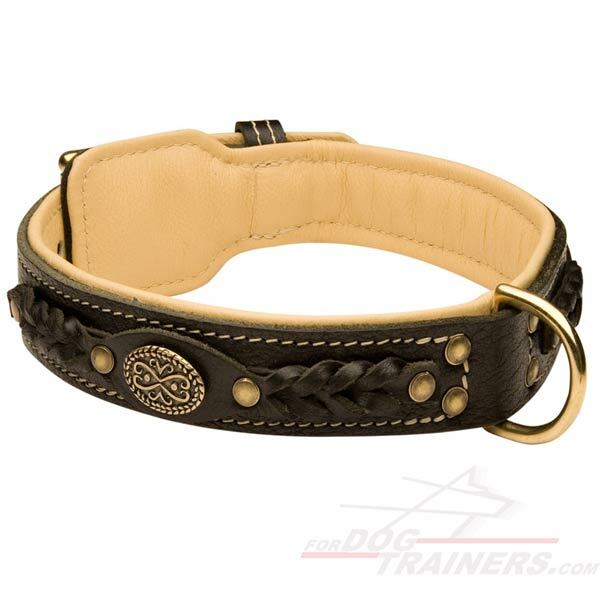 Slip-On Collars – are for martingales and choke collars which are used for training purposes. They have a combination of chains and/or rings that hold them together where you attach the leash. The chains and rings should be made of stainless steel and plated for “smooth action” so that the collar does not catch when a correction is made. We’ve just studied 4 main features to keep in mind. But, to be honest, there are more. I am not going to dwell upon them in detail. Just some insights on each option. There are so many additional options that you may wonder: “What’s all this for?”. Hold on, you will find it out right now. Have you ever noticed that some dog collars are padded inside? Such in-build padding in collars helps to cushion the feeling of the collar around the dog’s neck, to stop it rubbing against his skin and causing chafing. It works well as a collar also will not pinch the dog’s skin, because it is padded. Such collars don’t choke or pull the dog’s neck and stay in position for long periods of time. So, guys, padding is quite a good option. Sometimes it even guarantees additional lifespan. But should a daily use collar be padded? Padding is a useful option for training collars that need additional care and protection of dog’s skin and fur while hard physician exercises. Don’t use collar with padding for everyday walks. A good flat collar is really enough. Do you seek beauty even when it comes to choosing a dog collar? You may sigh with relief. There is an overwhelming number of collars with beads, feathers, studs, sequins, bows, charms, treat holders, and other stylish decorative elements to make them more fashionable and exclusive. Yes, some of dog parents, especially young ladies, like them. And I really understand them. Who can resist a bright decorated collar that will turn a dog into a fashionista? Did you know that a decorated collar can be dangerous for a dog? Some elements can easily fall away and be swallowed. Even more, your pet can injure himself, you or someone else if the decoration is sharp. While such collars can be fun, only use these when the dog is under your supervision for their safety. Do you belong to those night owls who are just hitting their day’s stride by late afternoon? Do you love nightime walks and outings with your dog? Or on the contrary. Are you one of those people who rises before dawn and never needs an alarm clock to go for a walk with your pet? Either way, collars with reflective trims, sometimes they are also called safety collars, are great for early morning or night strolls. They help you keep an eye on a dog that works or spends time outside. Safety collars provide either solid or flashing lights so that cars and other pedestrians will be able to clearly see your dog when you are out for a walk. Many standard nylon collars include reflective safety strips. As an alternative, you can also find attachable lights or reflectors that fit most collars. So, does your dog need to be identified with patches? Some dogs must be identified, for example service or police canines. But many of dog parents like to use patches just for fun. In any case, your dog will be easily identified with those patches, that stick to both sizes of the collar with Velcro. The set of patches is usually offered in the kit with a collar or can be purchased separately. Have you ever thought that it would be great to grab you dog quickly during the walk? For example, if the dog is very active or aggressive towards other dogs. Then the dog collar with a handle gives the owner utmost control over a dog. So, thanks to the handle, you can grab your pooch quickly and easily! It is really a good choice for walks and training. Does your dog love to splash in water? But, oopsy-daisy! Your dog’s favorite collar does not seem to share his or her interest. Did you know that you can prolong the life of dog’s everyday collar by outfitting your pooch in a waterproof collar for his swimming and boating days? Waterproof collars are often microbe and mildew resistant as well, making them easy to clean and dry when your dog comes in. While such collars are great for the water, they should not replace your dog’s everyday collar. The thick materials and rubber texture of waterproof collars may cause chafing and discomfort if worn for extended periods. If you have a dog with whitish fur, I guess you may have had this problem when you put a bright collar on your dog’s neck, but it turns out that it spoilt beautiful hair of your pooch. So, owners of Huskies, Labradors and other canines with whitish fur, keep in your mind that every once in a while, collars will bleed the colors of the dyes into your dog’s fur. This often happens with nylon or metal collars. So if you see any signs of discoloration, choose a higher quality nylon or stainless steel collar, or better buy a leather one. So, now you have a little bundle of joy at your place, you have a collar, leash and… you have no idea what to do next. With a new puppy, be prepared to the fact that they do not always accept strange, new things. Putting a collar on your new friend can cause quite a trauma! Since pups cannot express their displeasure, or take their “hands” and try to remove it, they will scratch at it. This does not mean it “itches” – it just means it feels strange and somewhat uncomfortable. Kristina Lotz from iheartdogs.com says that first thing you should do – stop trying to put a collar on your pet with force despite all his efforts to hide under the bed. Stop chasing, dragging, and restraining. All this is creating even more reasons for your dog to not like putting on his collar. If someone did that to you every time you needed to put your coat on, would you come to it joyful? No. Next, you need to start training. The best way to make the collar a good thing is to turn training into a trick. We are going to teach your dog to come running to you and put his head through his collar willingly and happily. Do you wonder how long it’s going to take? Friends, it is not a matter of a few hours. Depending on how shy your dog is, it may take a day or two, or even few weeks. Move at your dog’s speed in order to be successful. So, let’s do it! Start in a small room where your dog can’t get too far away from you. If you can, sit on the floor with your dog to make the scene more relaxed. Have plenty of good treats and his collar. Leave the collar on the floor and mark/reward (M/R) your dog every time he approaches the collar or touches it. When your dog is deliberately going up to the collar, pick it up and hold it so the big loop (where his head will go) is fully extended. M/R your dog for touching the collar in this new position. Then, start delaying your M/R and see if your dog will start to nose the collar more. Eventually he will accidently put part of his nose through the center. M/R BUT DO NOT PUT THE COLLAR ON ALL THE WAY RIGHT NOW. Instead, remove it and start again. Repeat, upping the criteria as your dog is comfortable, until your dog is pushing his entire head through the collar on his own. Once he is doing this, you are going to have to work on getting the collar off. Most dogs that are shy, back quickly out of the collar and then run. So, as you start to take the collar off, stop any time your dog starts to back his head or body up. When he is still, continue to remove the collar. This takes patience, but it does work. Eventually your dog will stand still while you pull the collar off. Once your dog is putting his collar on by himself, it’s time to start adding distance. Hold the collar several inches away and see if he will walk to put the head through, M/R when successful. Then try a foot or two. When he will move to put his head through, you can put it on cue if you wish (the collar being held up can be the cue, or you can use a verbal, like “get dressed”). Do this by saying the cue as your dog puts his head through the collar. Standing behind or to the side of the dog, instead of in front, can help your dog be less wary of the collar. If you are using a buckle collar, you may find it easier to have two assistants – one to buckle and one to treat in the beginning. One person will hold open buckle collar up for a dog to come and place chin on, other will M/R. Eventually, when he is coming up, laying his head on the collar for you to buckle in one fluid motion and then be rewarded, you will no longer need two people. Do you find reading tedious? Then watch the following video. I am sure it will give you great understanding of what a training process is and how to make it a funny and interesting game for your pet. So, now you know that the choice of a dog collar is an individual process and it takes lots of factors to consider. I believe that the 5 rights of a dog collar written by Emily Young could not have been better at summarizing what we’ve talked with you about. So, here they are. The right size. Having the right size is very important because wrong sized collars are one of the leading causes of injury. A collar that is too tight inhibits circulation around the neck area, and the warm temperature is favorable for bacterial growth, which may lead to skin infection. It can also restrict airway and can cause breathing problems. On the other hand, a collar that is too loose can lead to injuries by being caught in cords or fallen branches. The right size also involves the right width, as there are collars that are wider compared to others. The right features. There are a lot of additional features that dog collars have nowadays. Despite all these freebies, you should be able to identify what features matter to you and your dog. There are collars that are medicated that kill fleas, but are sometimes the medication is too strong it can irritate the skin when worn for extended periods of time. 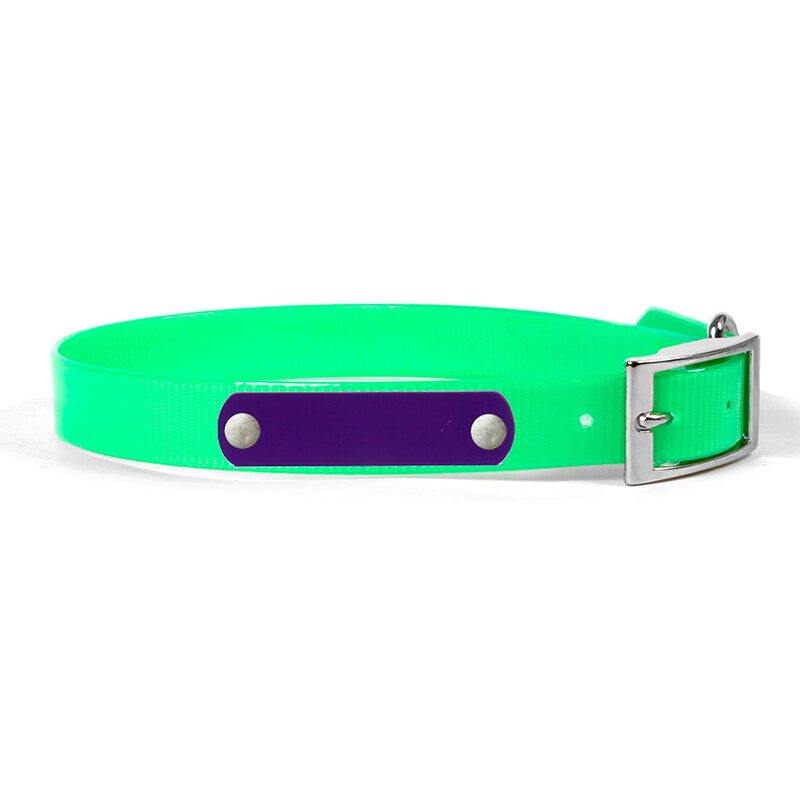 Reflective and LED collars that have an added bling can look pretty, but if you’re not the kind of a pet parent who walks your dog at dusk or at night, this will not help at all. The right type. It is very important to find the right type of collar for your dog. There are many options available, and you should be able to select the one that suits you and your dog’s needs. The right leash. This is quite tricky for some pet parents. But there have been instances that they managed to get the right collar and paired it with a wrong leash. The correct size of the leash is important because having a leash that is too short or too small for a big dog will just snap or drag the owner, while a leash that is too long or too big will be a burden to the dog because leashes add weight to their necks and back. If you have doubts about a proper dog leash, read this article. The right attitude. You might be wondering why attitude is involved here. It is actually very important to be cautious enough when handling a dog that has a collar and leash because any forceful pulling can strangle or injure the dog even if it was not intentional. Right attitude is being responsible, alert, and assertive in the actions that your dog will do. This inhibits accidents and injuries for both the dog and the owner. You’ve learnt everything about dog collars’ types, you know your dog’s behavior and temperament, you have in mind what you will need the collar for. And it is now your turn to make a step and enter that desired collar type in the search string of your browser. But anyway, I am pretty sure that you will agree with me that the best dog collar is the one that works best for you and your pet. So, check and evaluate all your specific needs before shopping. Perhaps, you will need more than one collar… So take your time and do not rush through this process. Does my dog really need a collar if he is always in the house and can’t walk alone? Yes, to my mind, he needs. As we know in most countries there are special law regulations claim all dogs should wear collars with ID tag. And frankly speaking, you can’t read thoughts of your dog. And someday, watching opened door or window, she or he can dream about new and interesting adventures and run out. And please believe me, there are really many caring people who can help you to receive your pet back with the help of the information on the tag. If my dog has a microchip, does he really need a collar? Yes. Please take into account that microchips carry only a unique identification number and can be read only by a special scanner. And you can understand that if your dog is missed and found by a usual walker at the street, he won’t have this scanner with him and will need to take a dog to the special shelter. And it takes some time, much time. But this problem can be solved faster if he finds your contact information on your pet’s collar and immediately calls you up. As you can suppose it’s quite an individual factor, but in any case it shouldn’t be too loose that you dog can slip out of it and too tight that it’s choking your dog. But I always recommend to use the right “of 2 fingers”: When you put your dog’s collar on, you should be able to fit two fingers underneath, between your dog’s body and the collar. 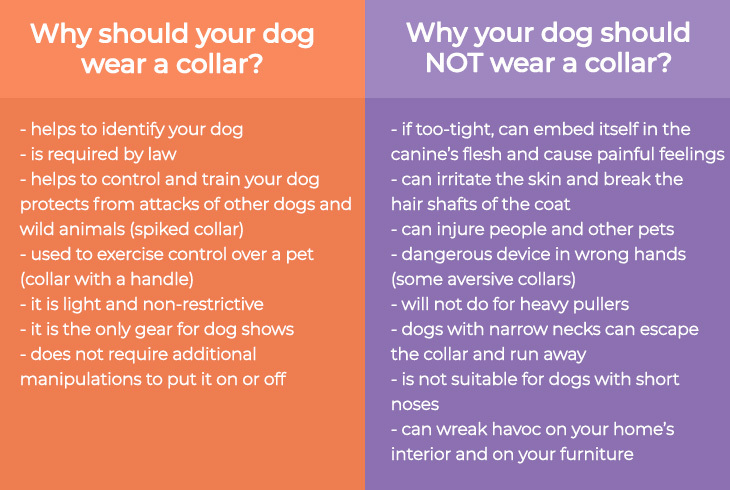 Well, it can be, if you’re using the wrong kind of a collar or do not know how to use one, you could physically or emotionally hurt your four-legged friend without even knowing it. Of course he would hate it! Without proper training and good treats dogs agree for collars, muzzles or harness quite rare. Frankly speaking, some dog owners advice just to put a collar on a pet and keep it on. And they say it works. Maybe, but I’d like to use more friendly attitude and use good and patient training. Should your pet wear a flea collar? Even if your pet has never contracted fleas, it’s likely that he will at some point during his lifetime regardless of how clean he or your home is kept. So one day you’ll face suddenly with this unpleasant problem and should solve it immediately. Yes, such collars are quite effective in the battle with fleas, but at the same time, in view as they are filled with chemical elements, such items can be dangerous for some pets. If your pet is very young, very old, pregnant, or nursing, he should not wear a flea collar due to the toxic chemicals. But since each product is different and after a good consultation with your veterinar you can find the best model. 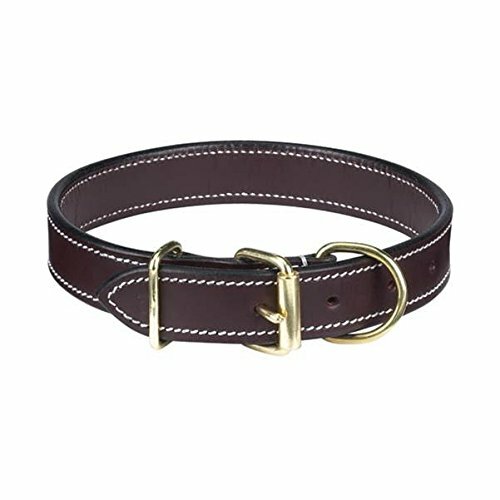 How to clean a leather dog collars? Leather collar requires a more delicate touch when cleaning. If it is not too dirty, you can wipe it down with a clean, damp cloth. To remove stubborn dirt on a leather collar, use a small amount of water, mild soap, and a soft-bristled toothbrush. Once all dirt and debris has been removed, wipe down the leather collar with a clean, dry cloth. Once clean, you can apply saddle soap or leather conditioner to the collar. How to clean a dog collars from nylon, fabric and other materials? The best way to wash a collar is by hand. Simply use a damp rag and mild soap while scrubbing along the fiber. Avoid using any detergents or powerful cleaners. Normally, a soap bar for sensitive skin would work perfectly. You also have the option of machine washing. Just throw it in the washer with a little mild detergent and wash using warm water. You can put a collar in a pillowcase if you are afraid that metal parts will damage the washer tub. Once washing is complete, you should hang up the collar to dry. 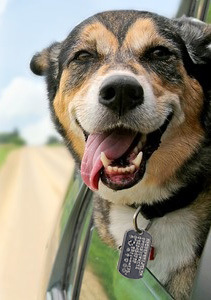 Avoid using the dryer on leashes, since the high heat tends to break down the fibers quickly. How to clean a chain dog collars? Chain collars are the easiest to clean, usually only requiring you to wipe them down with a clean, damp cloth. As with leather collars above, for more stubborn dirt, use a little water, some mild soap, and a soft-bristled toothbrush. After cleaning the chain collar, wipe it down with a clean, dry cloth.